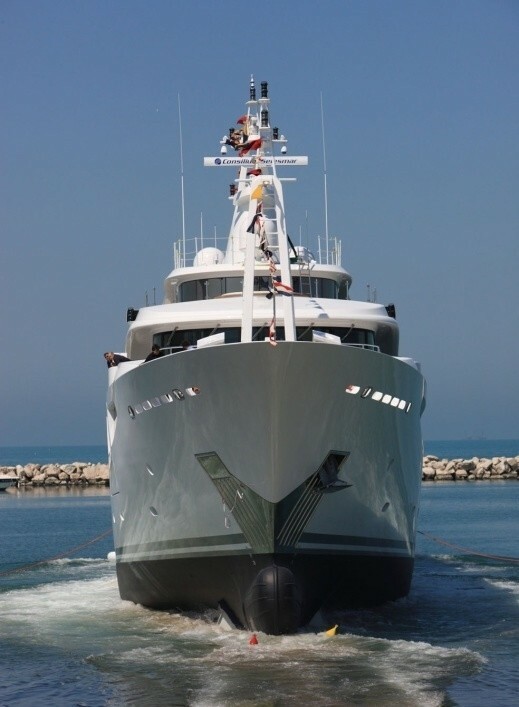 Motor Yacht LIGHT HOLIC (Ex Darlings Danama) is a 60m vessel built by CRN shipyard and launched in 2011. 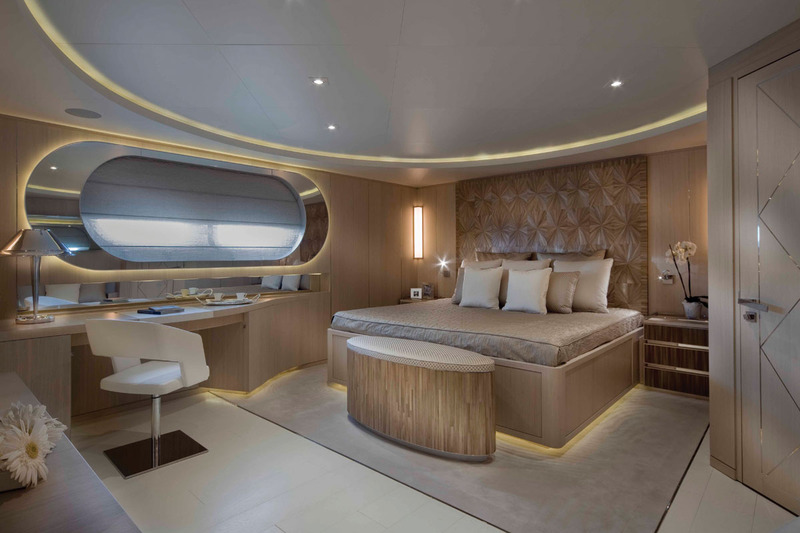 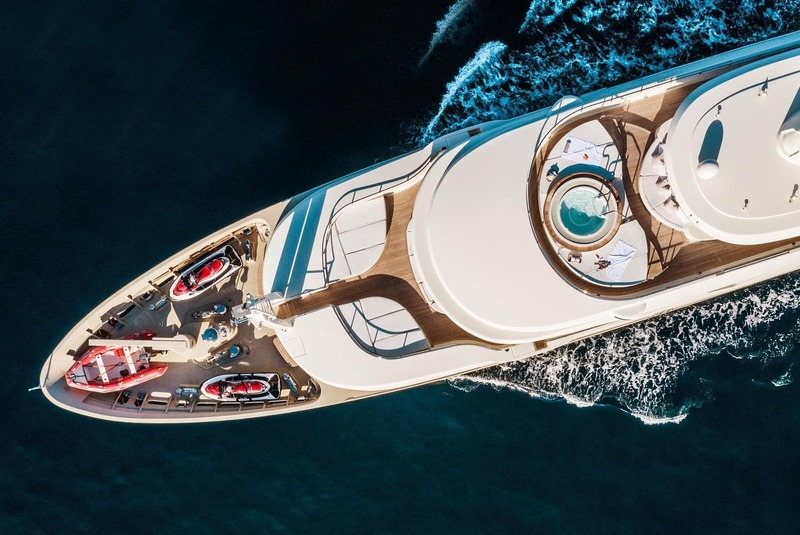 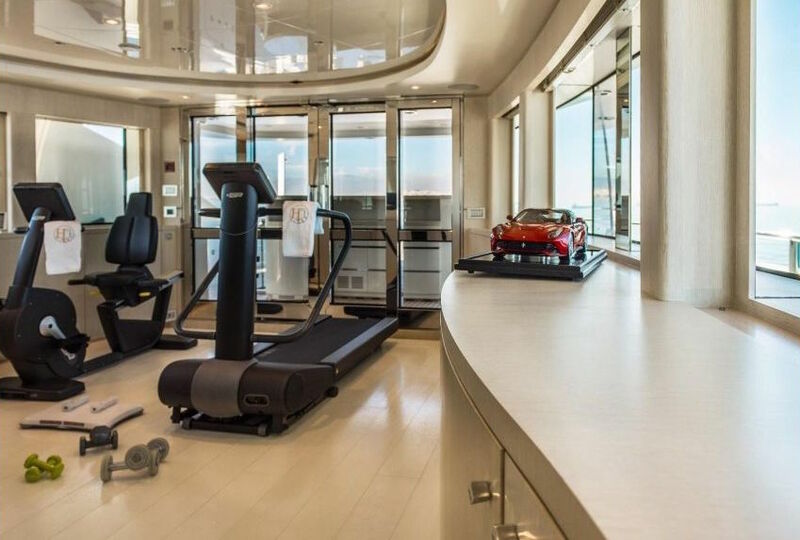 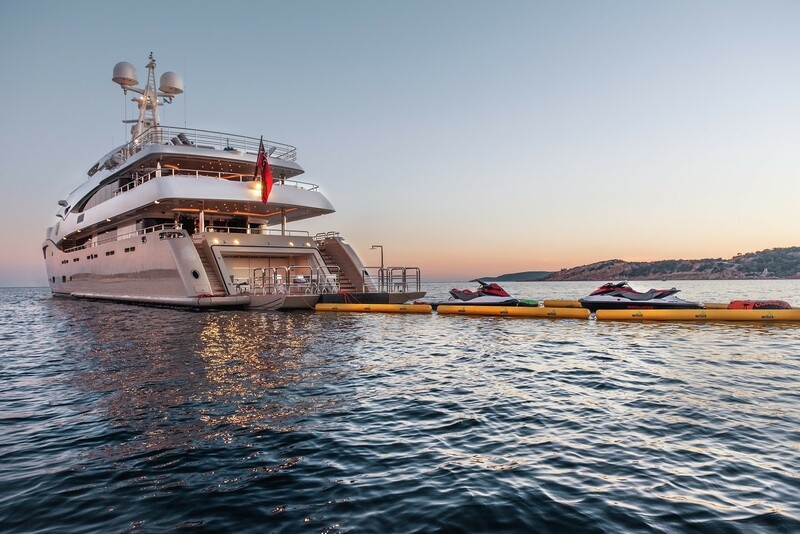 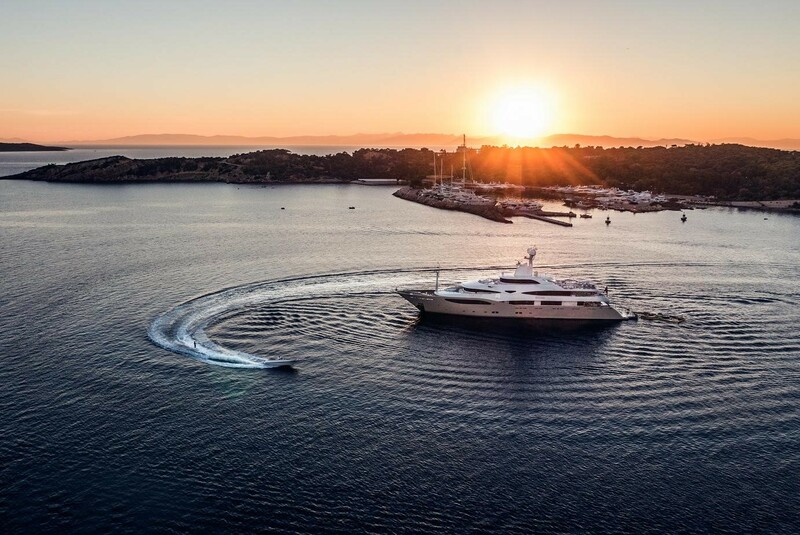 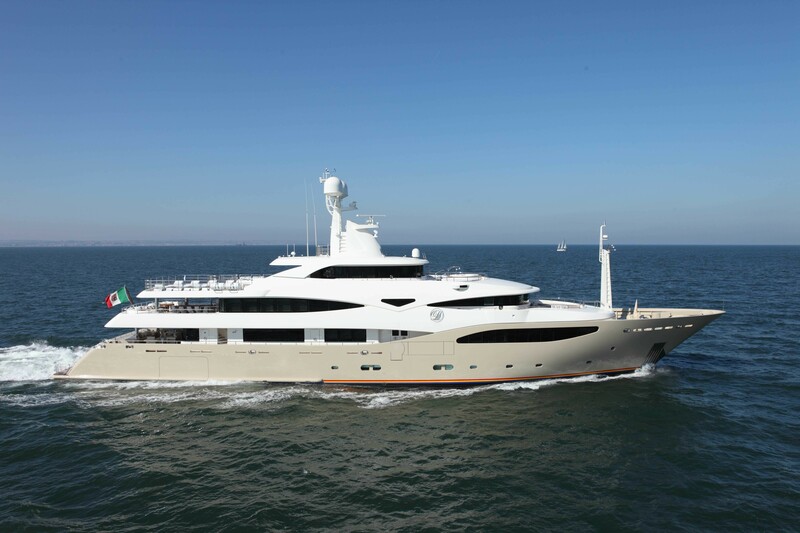 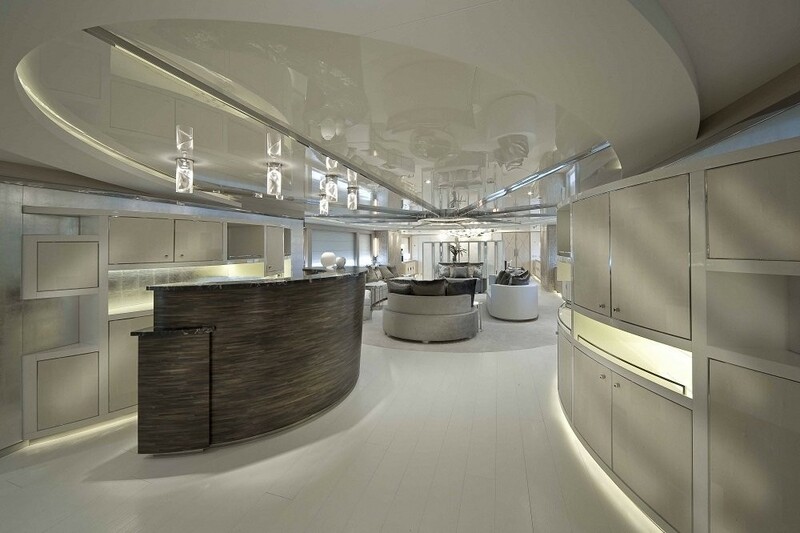 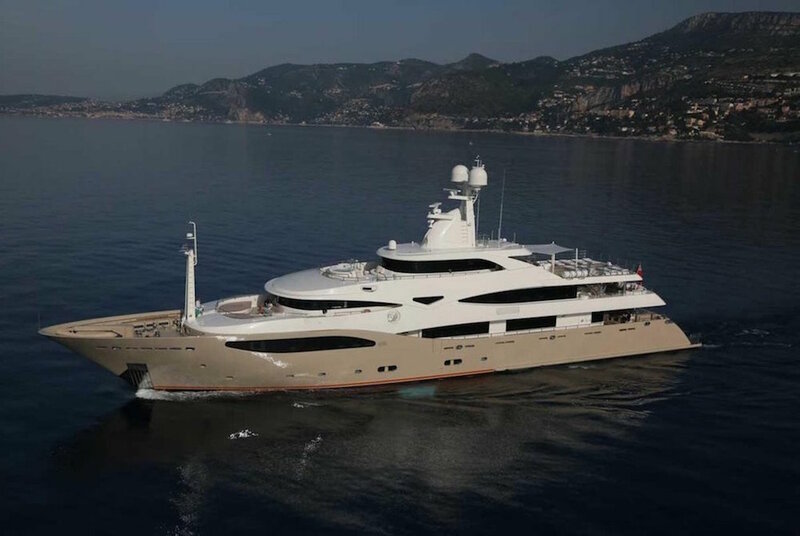 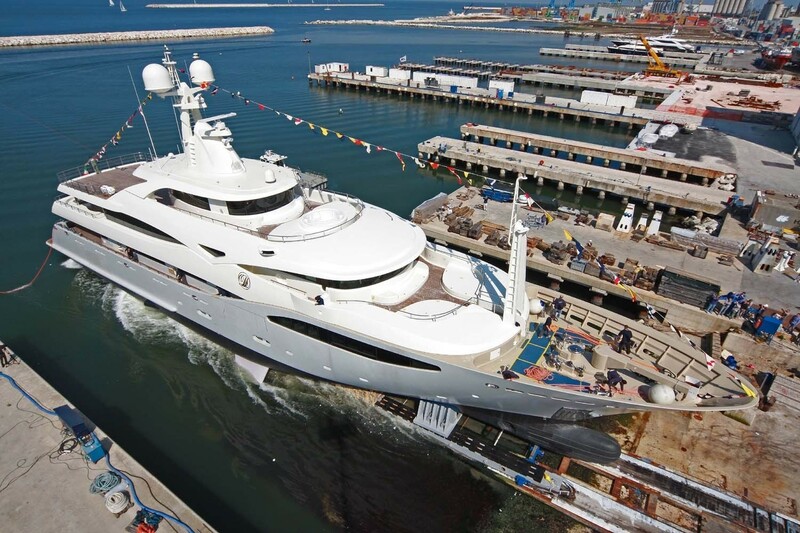 Having been built designed by Zuccon International Project Studio in collaboration with CRN’s in-house design studio superyacht LIGHT HOLIC is a resounding success. 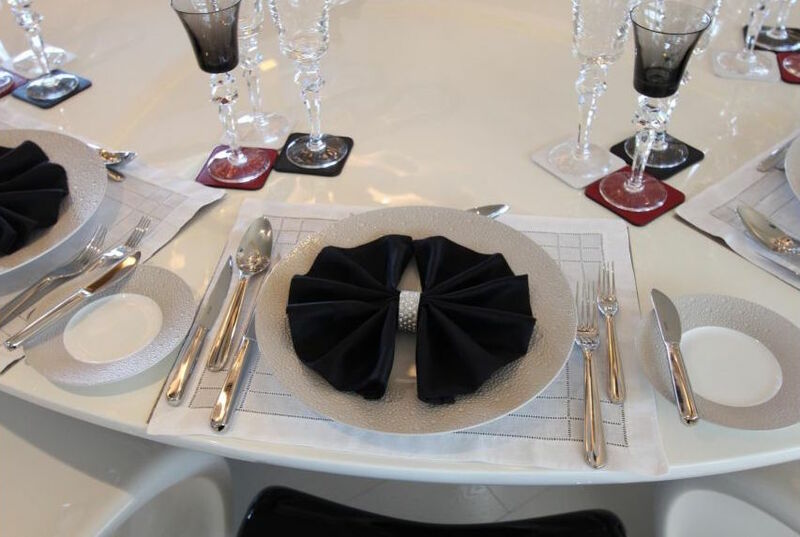 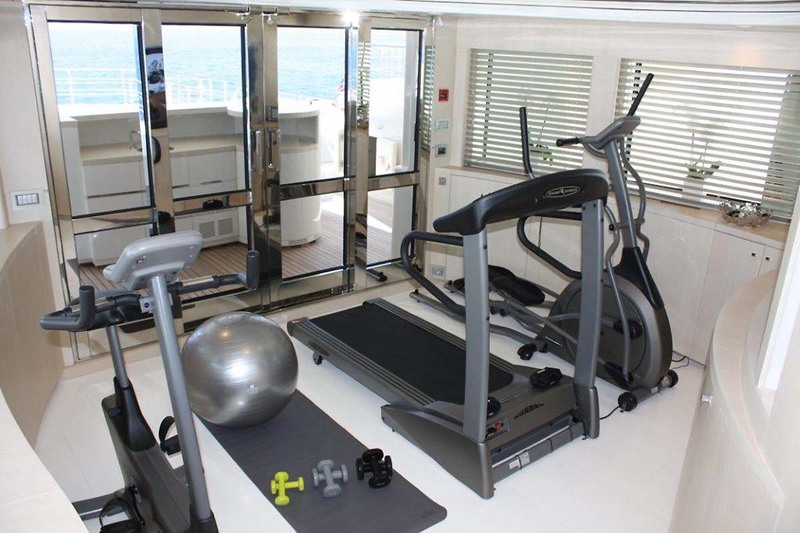 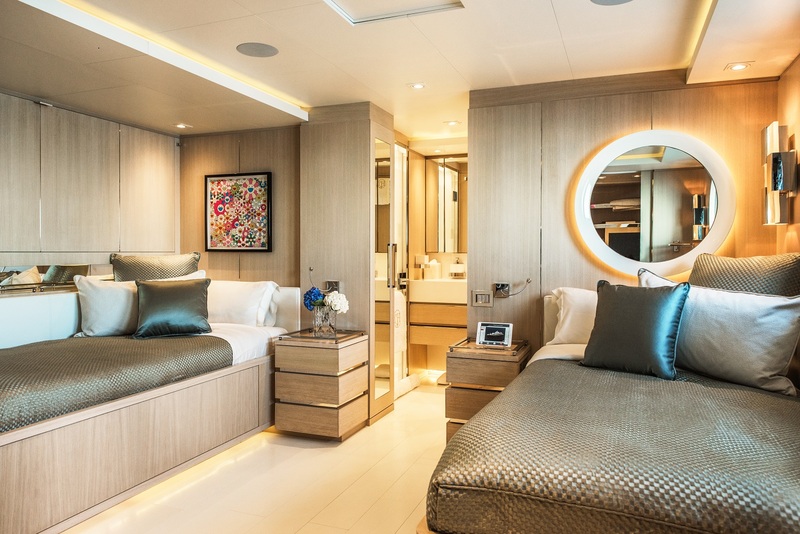 Accommodation onboard is provided in six staterooms for 12 guests. 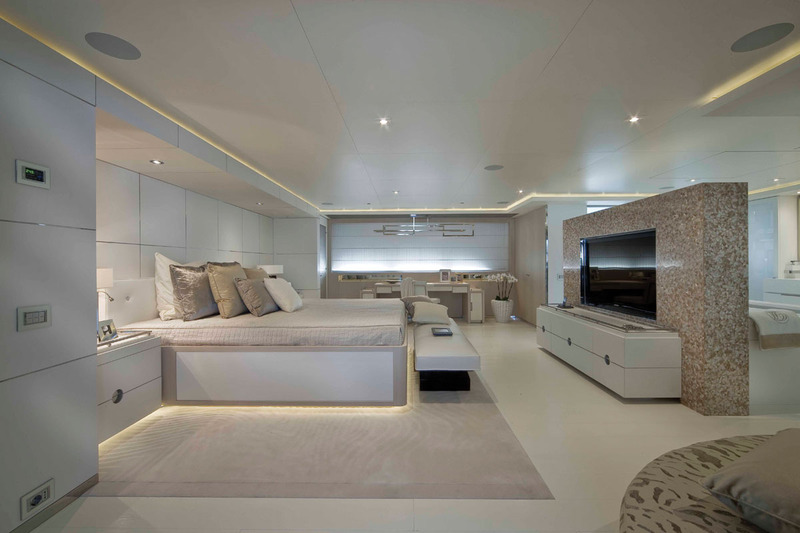 M/Y LIGHT HOLIC features a winning combination of vast open areas and light, airy interiors, making her the ultimate entertainment yacht. 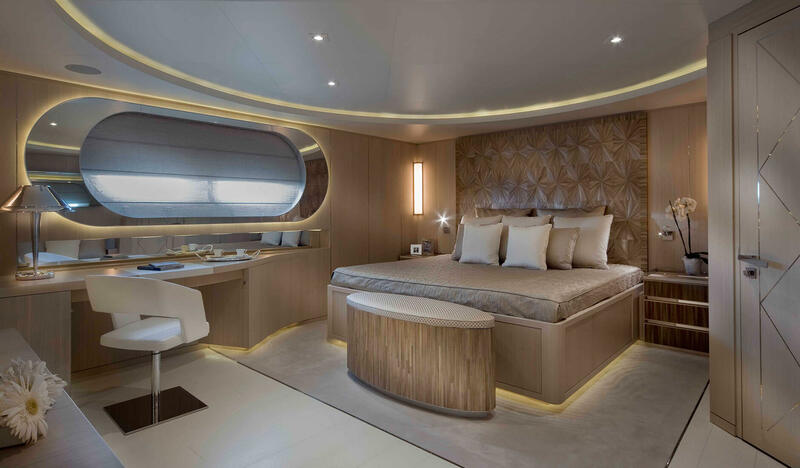 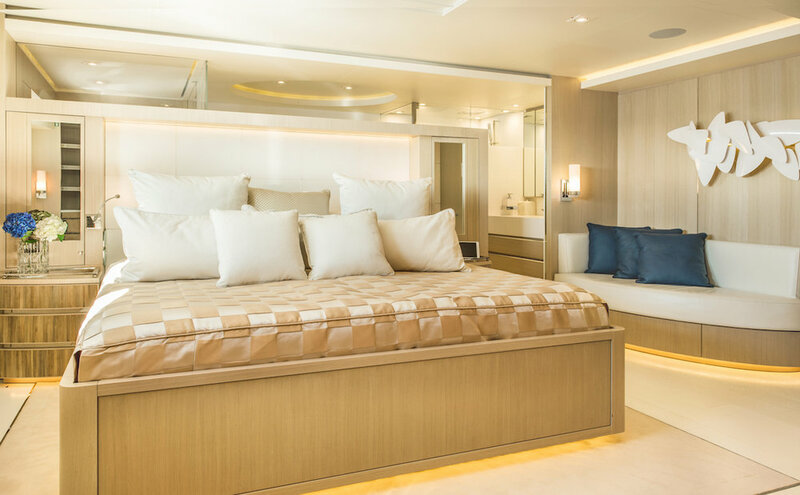 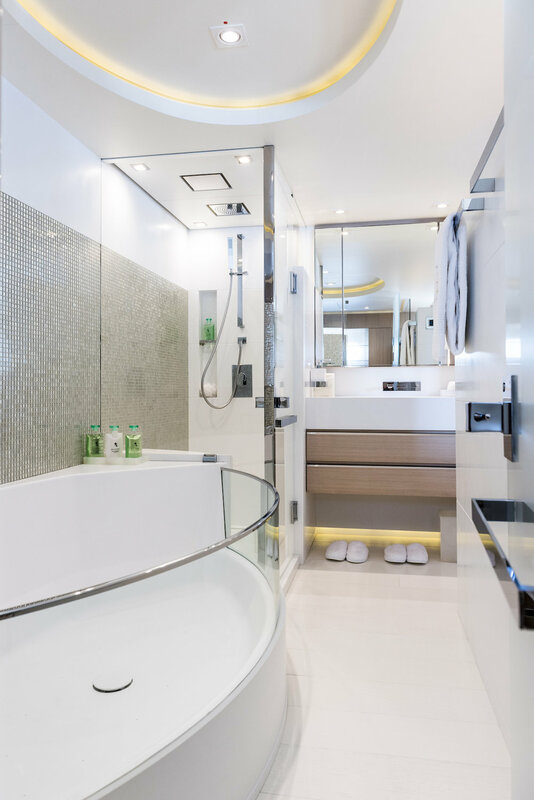 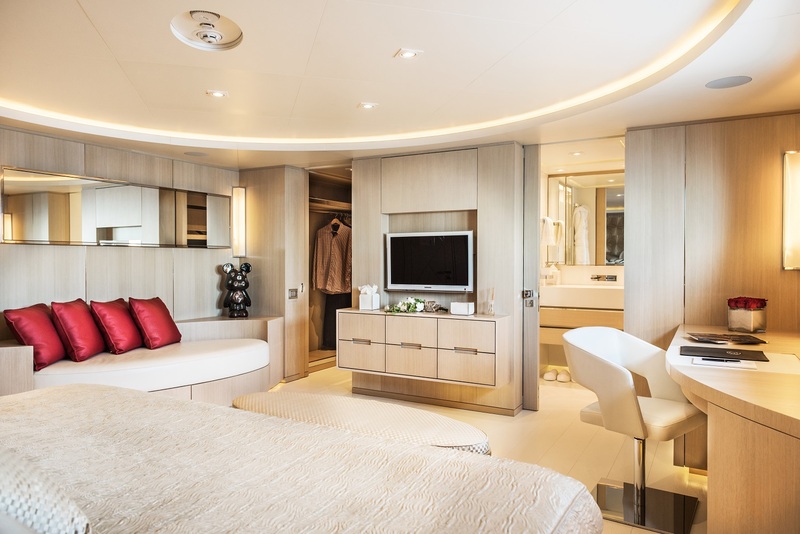 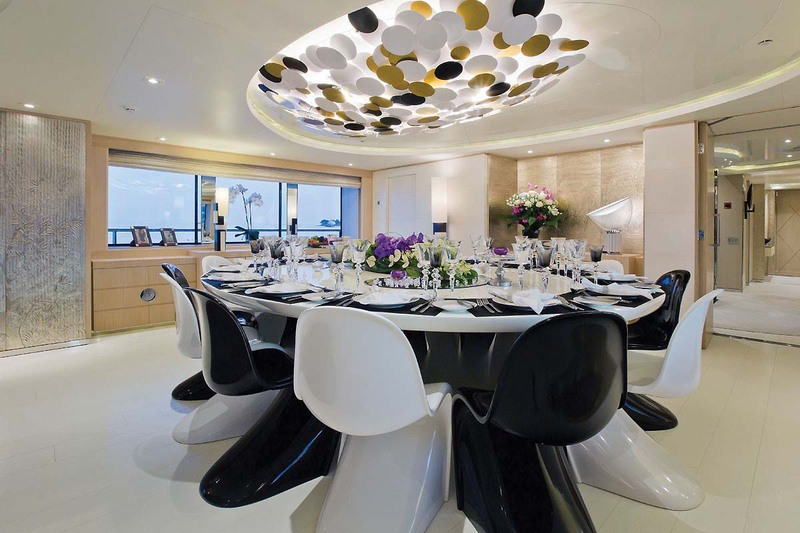 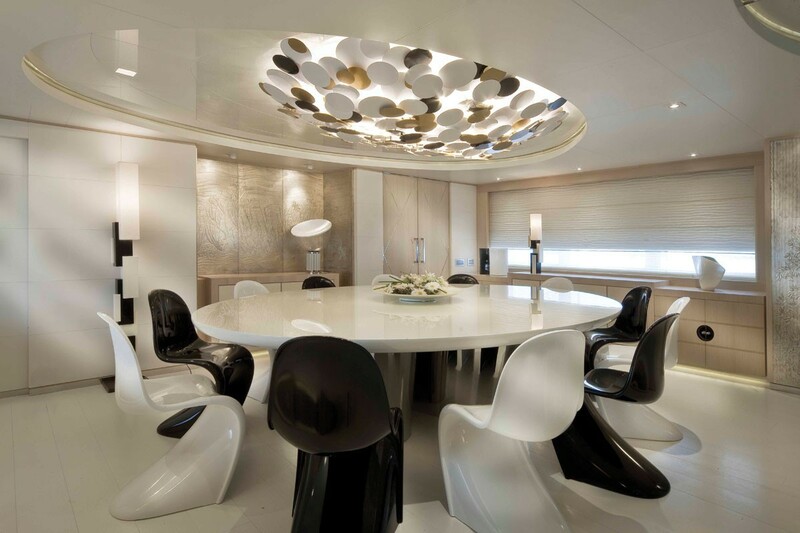 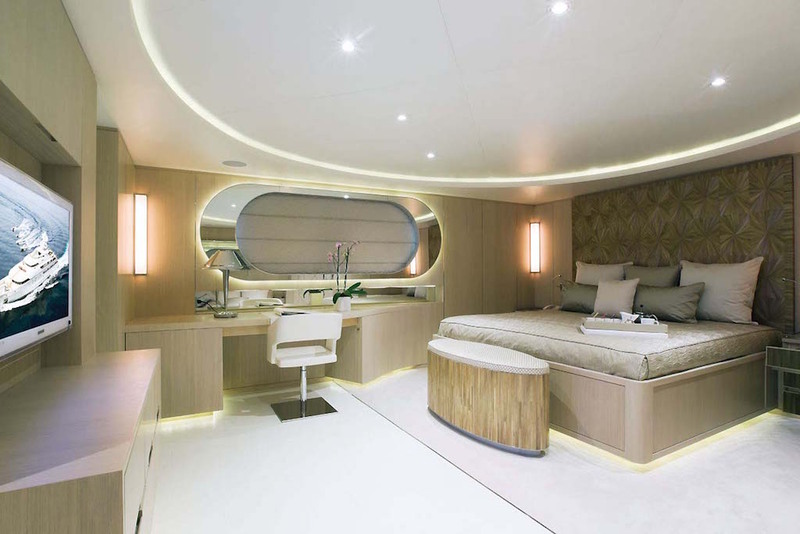 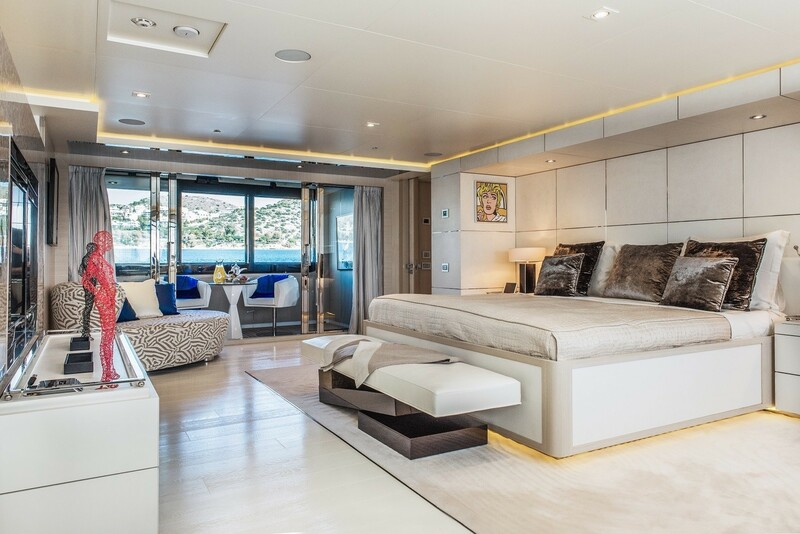 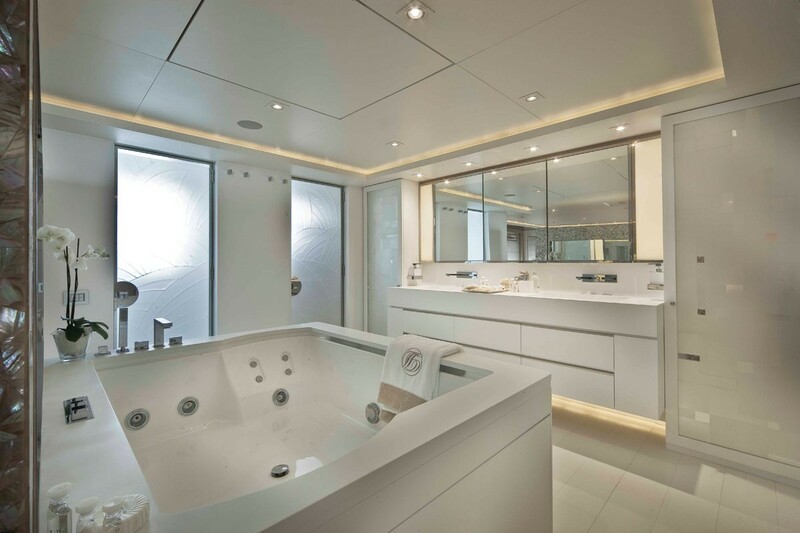 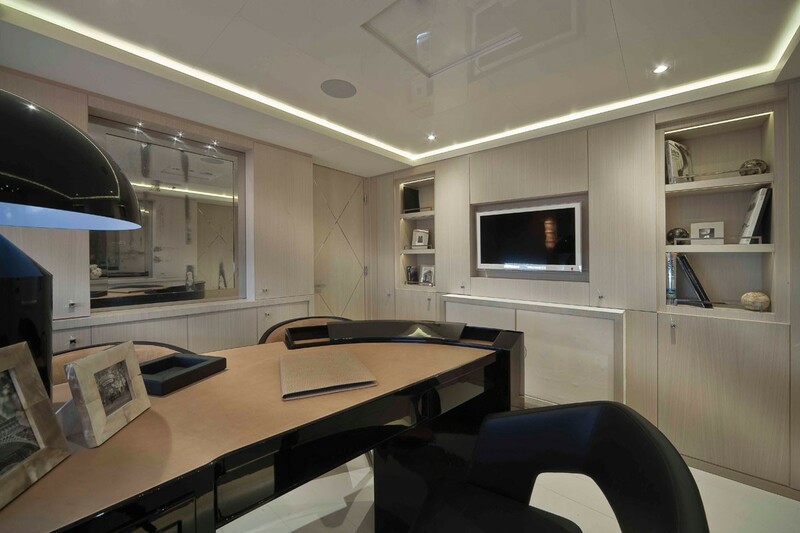 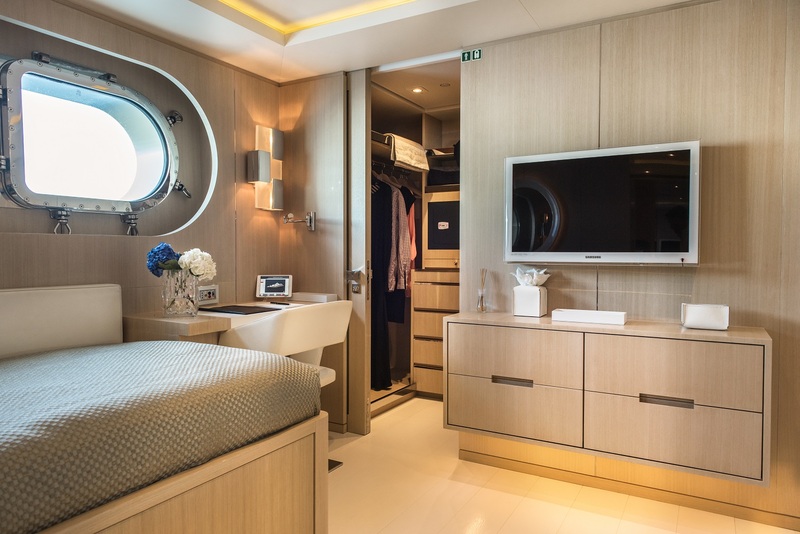 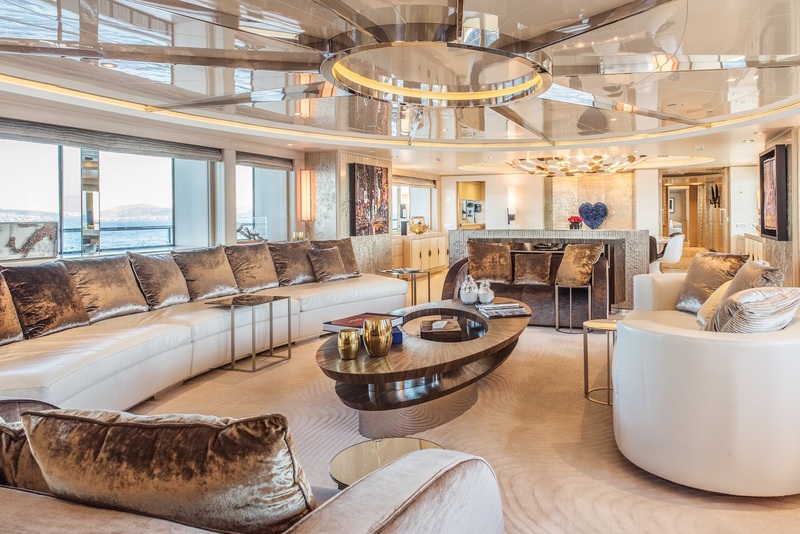 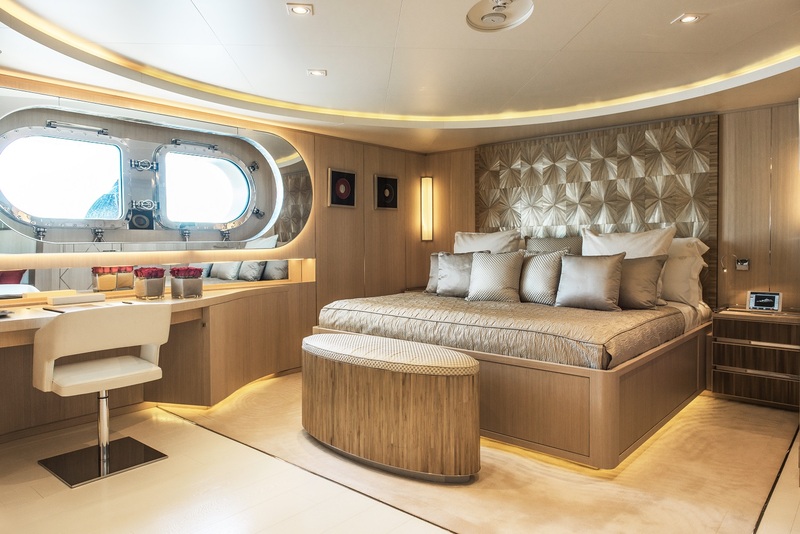 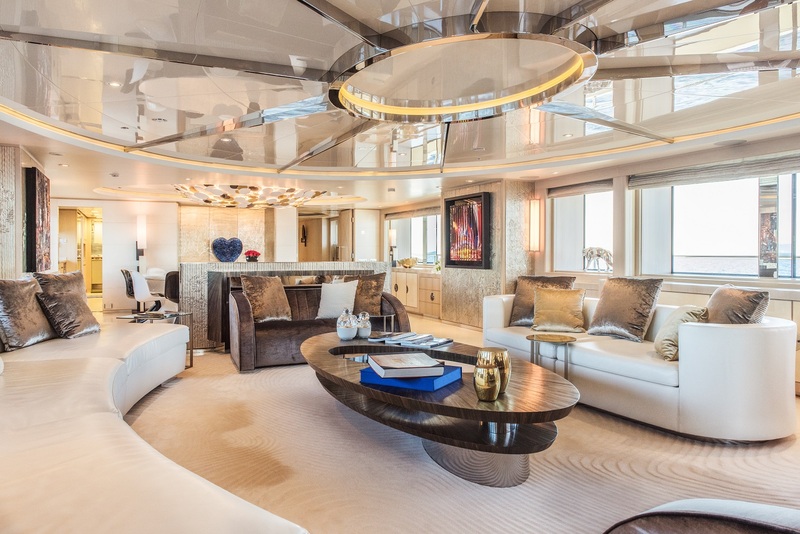 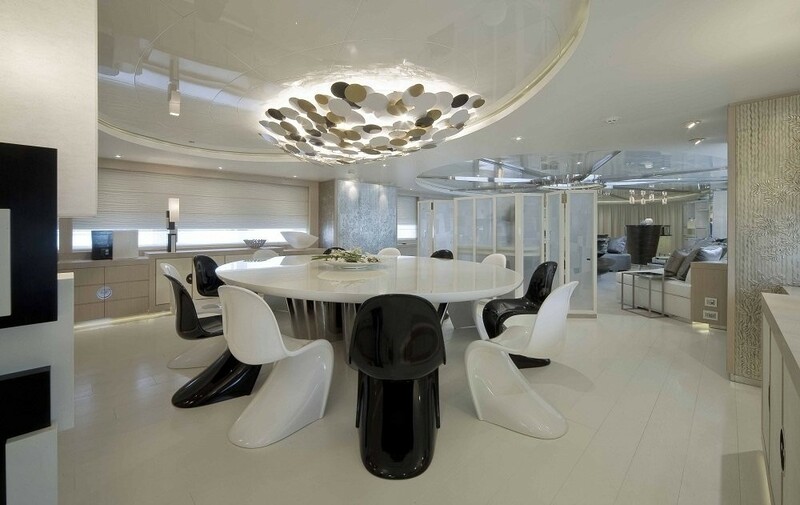 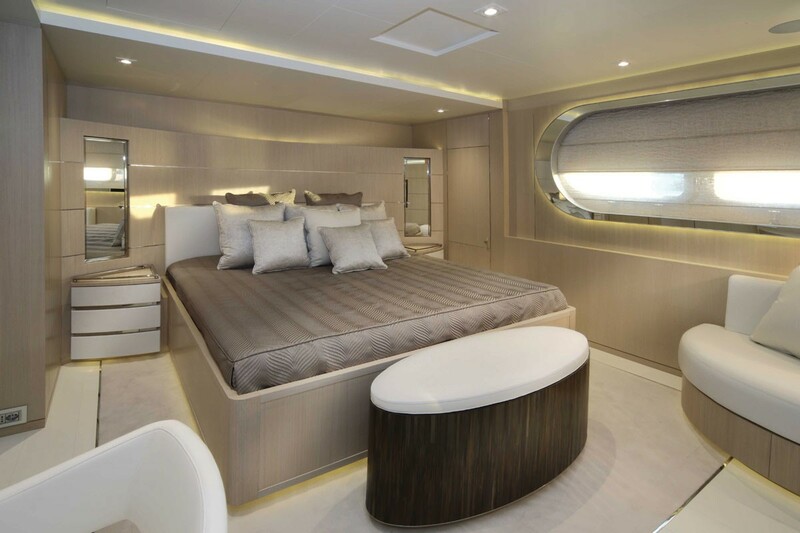 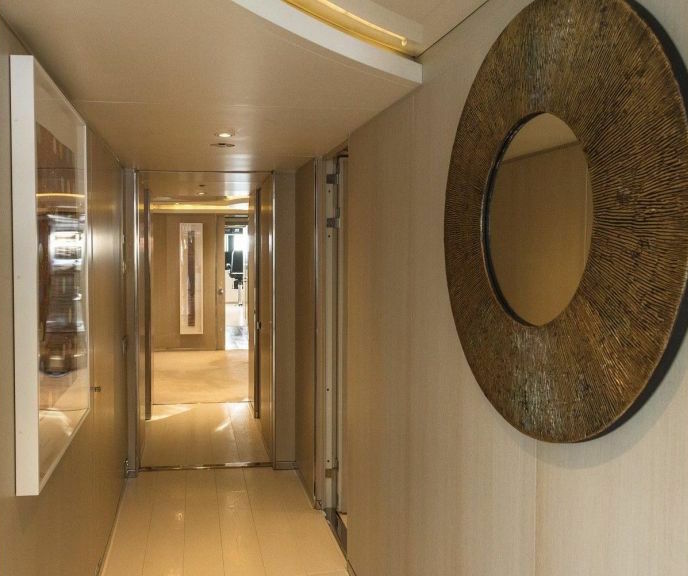 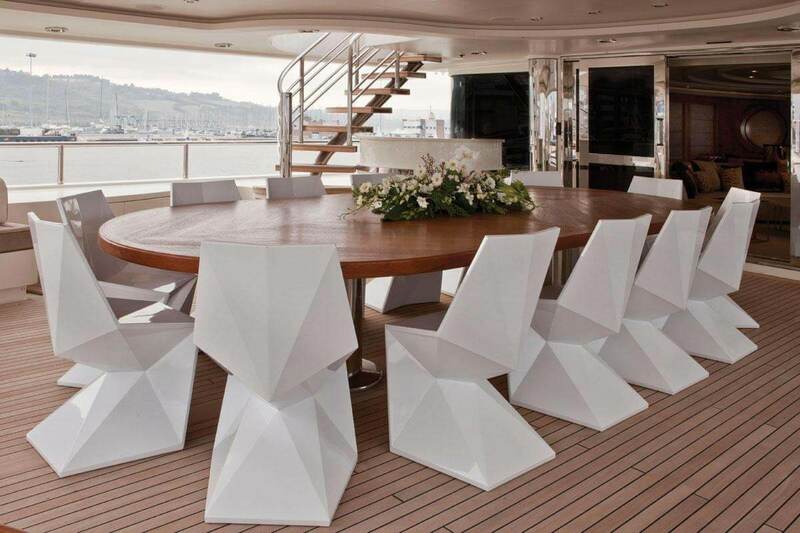 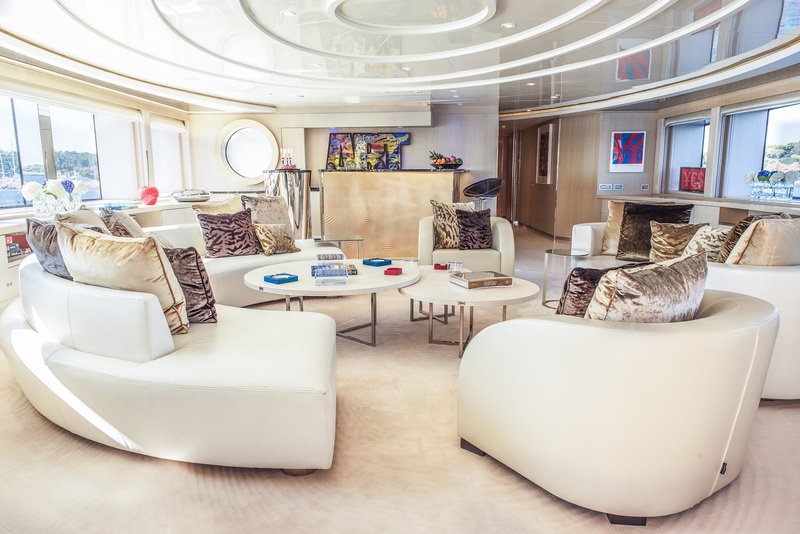 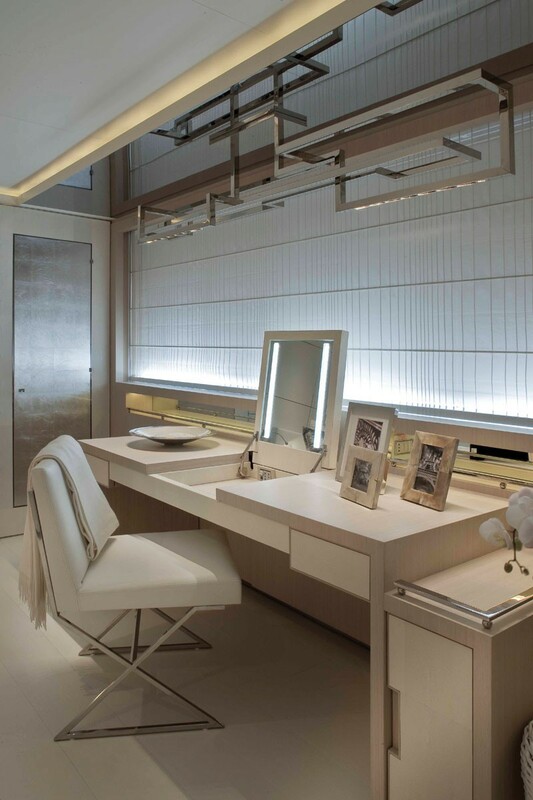 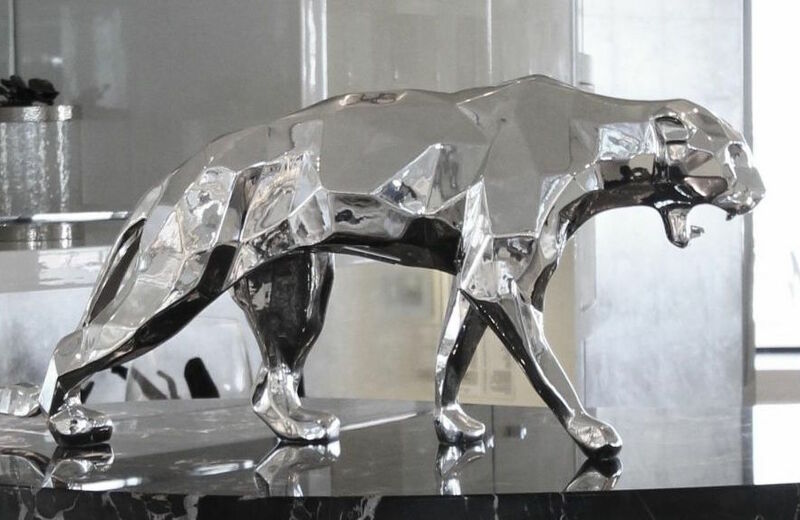 Every inch of the yacht has been meticulously finished, including her interior, styled by Alexandre and Cristina Negoescu. 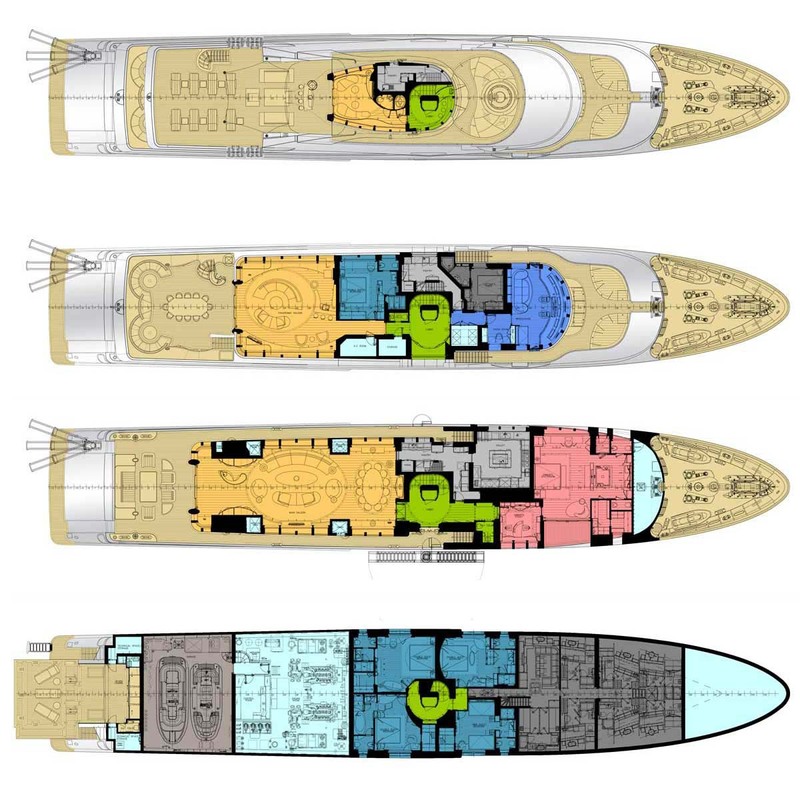 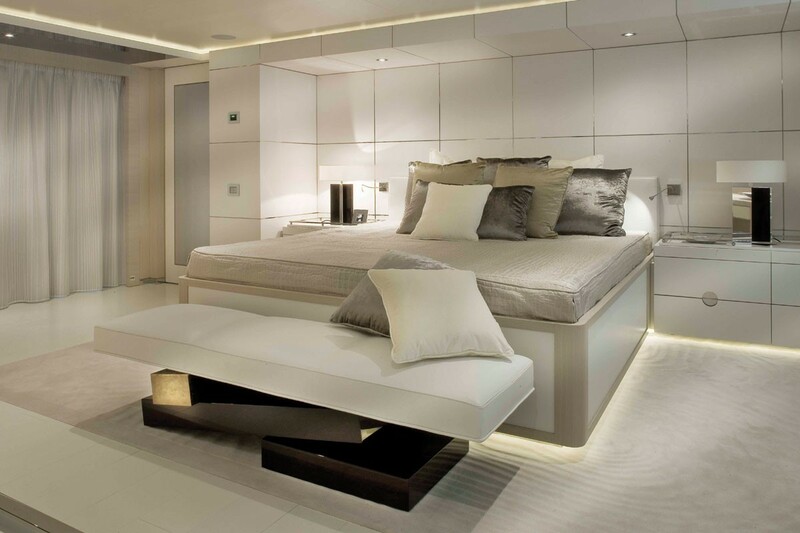 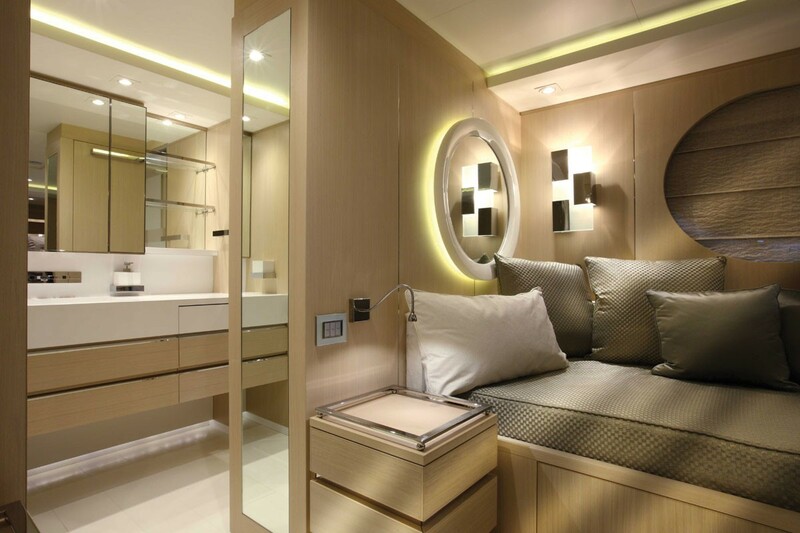 The overall feel of the yacht is minimalist, although Art Deco touches bring some warmth and colour into her clean interior. 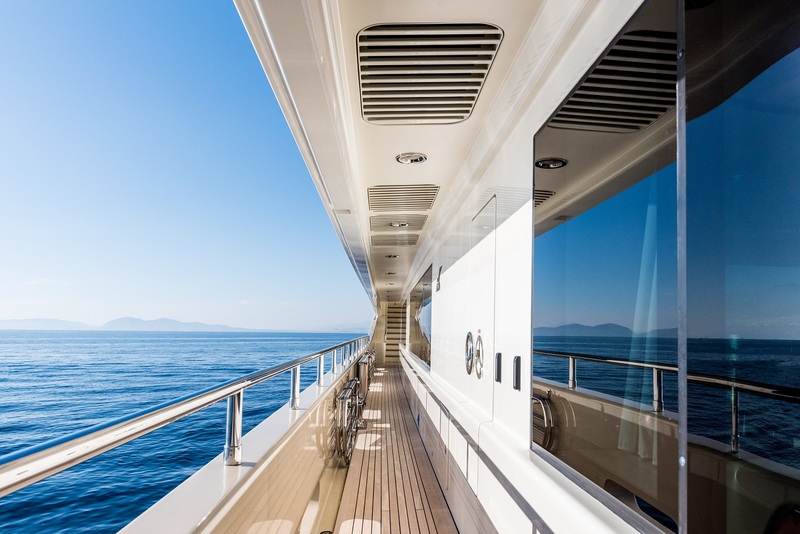 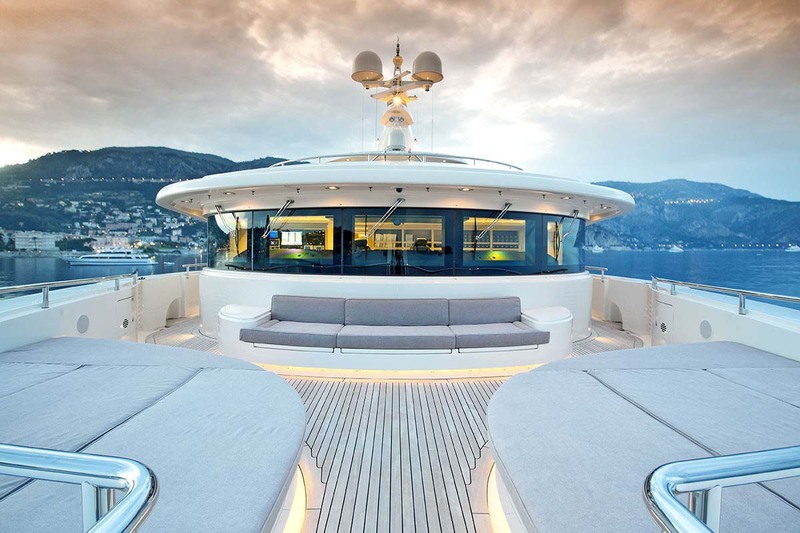 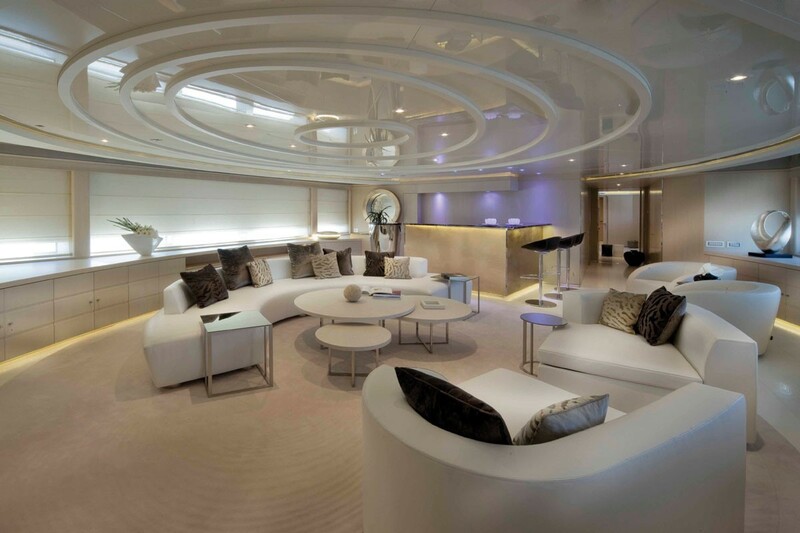 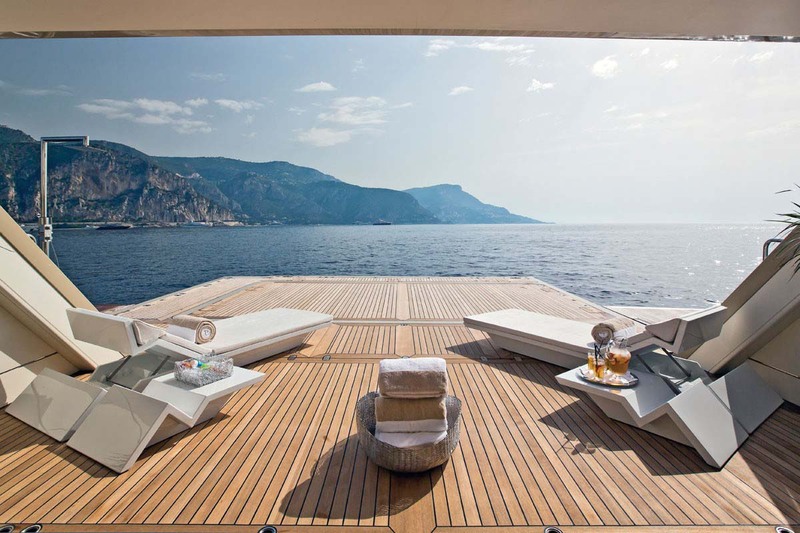 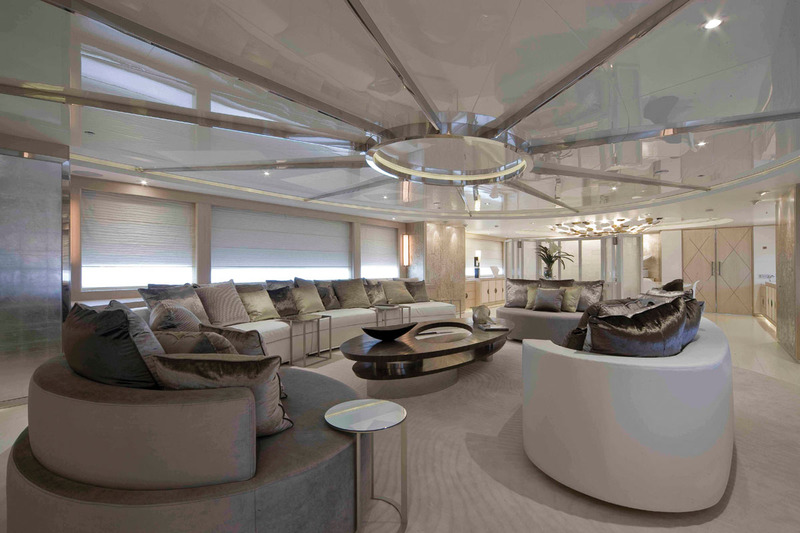 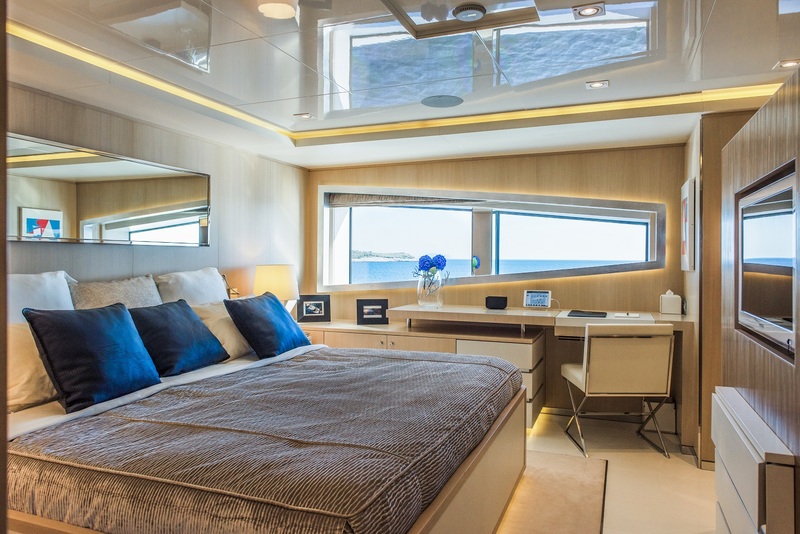 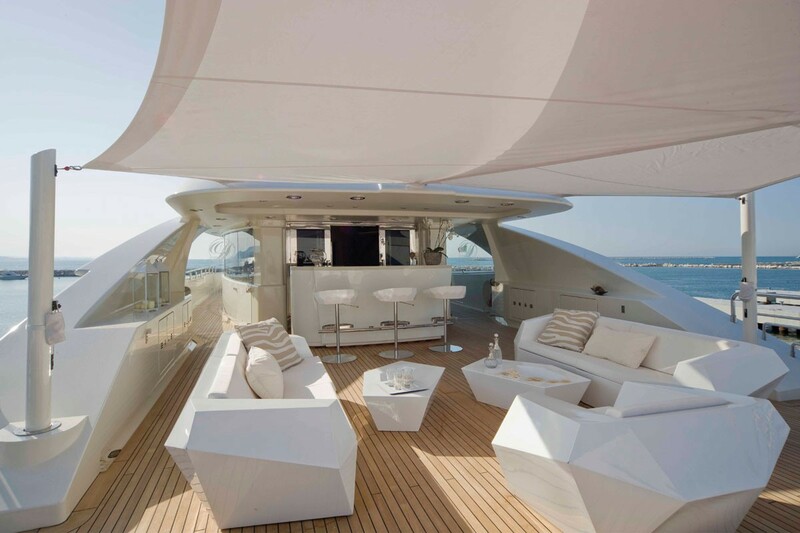 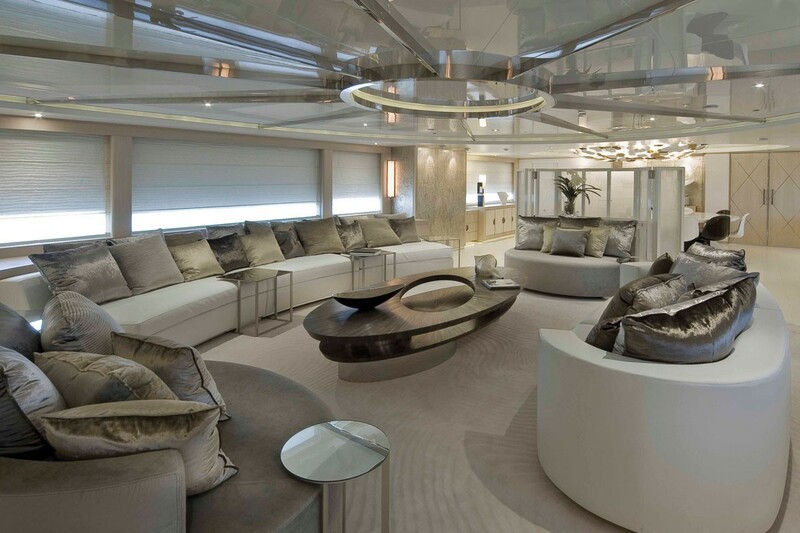 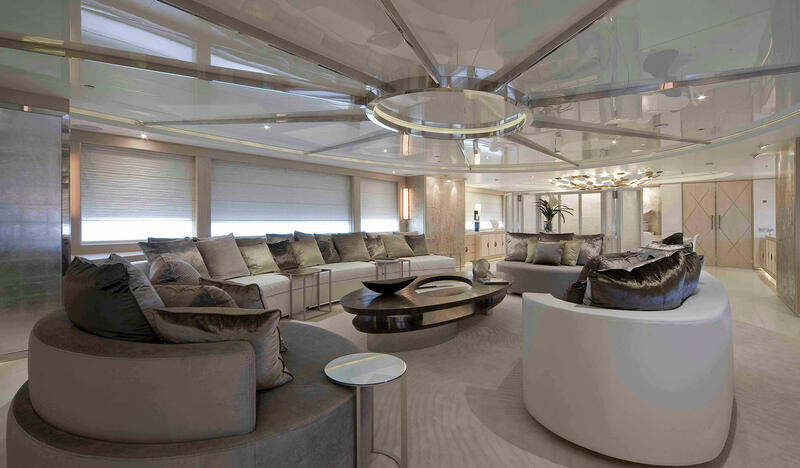 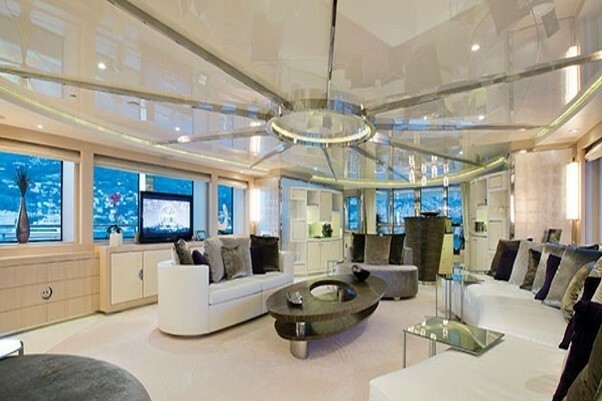 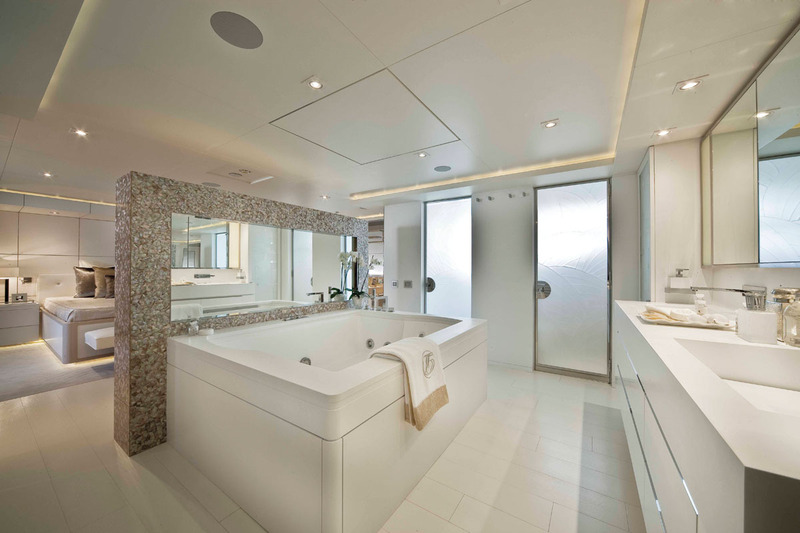 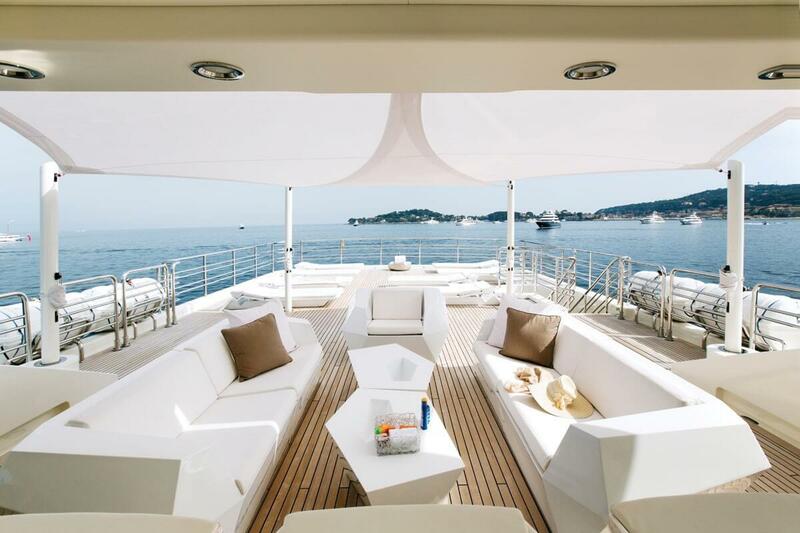 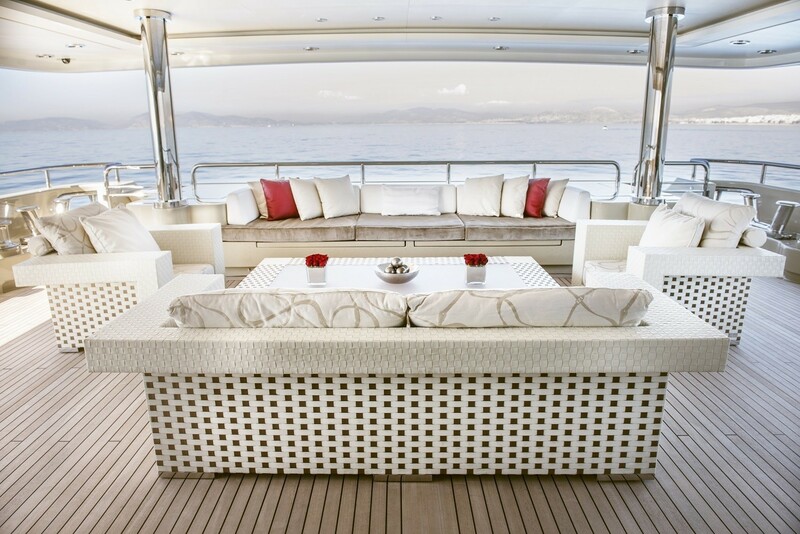 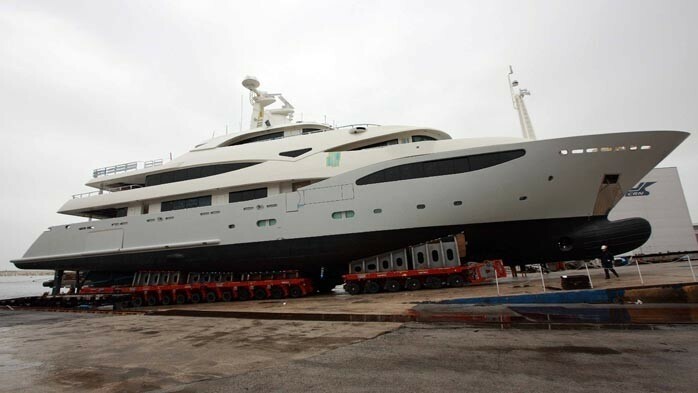 Despite her pristine finish, this yachts remains inviting and relaxed. 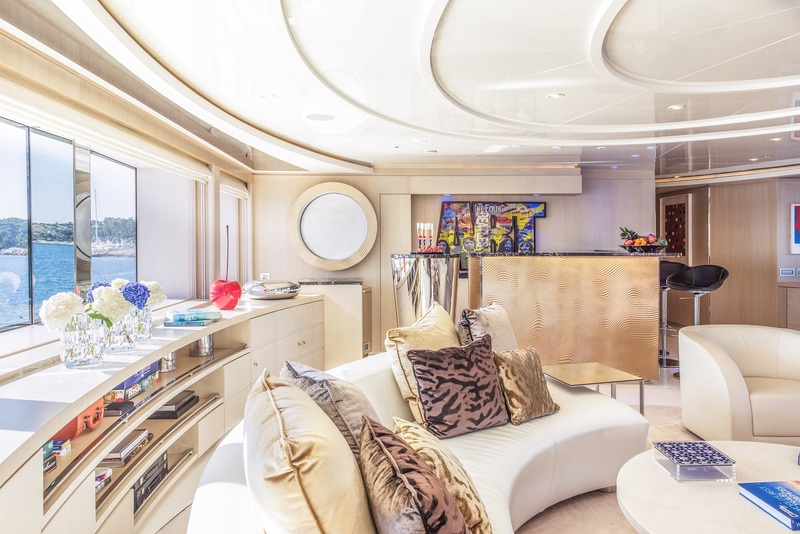 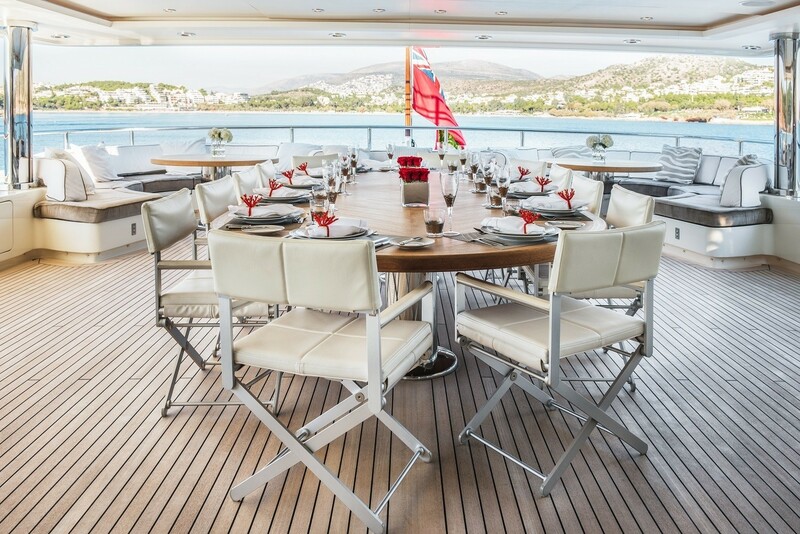 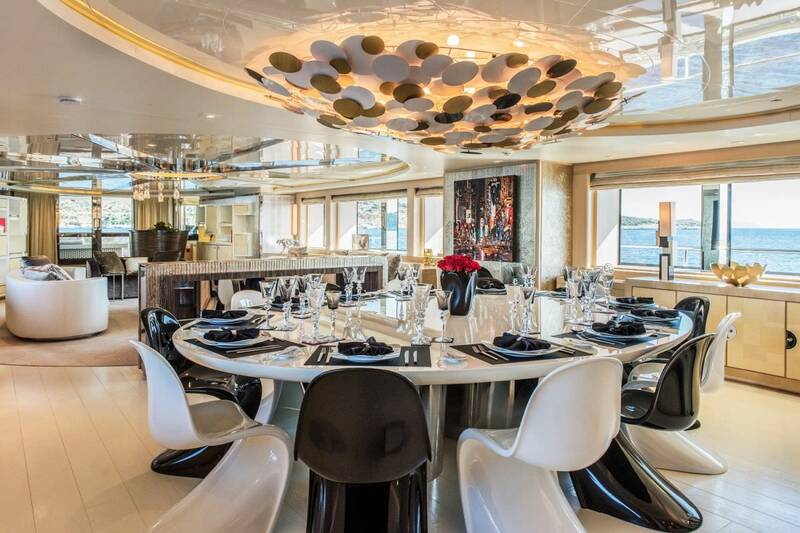 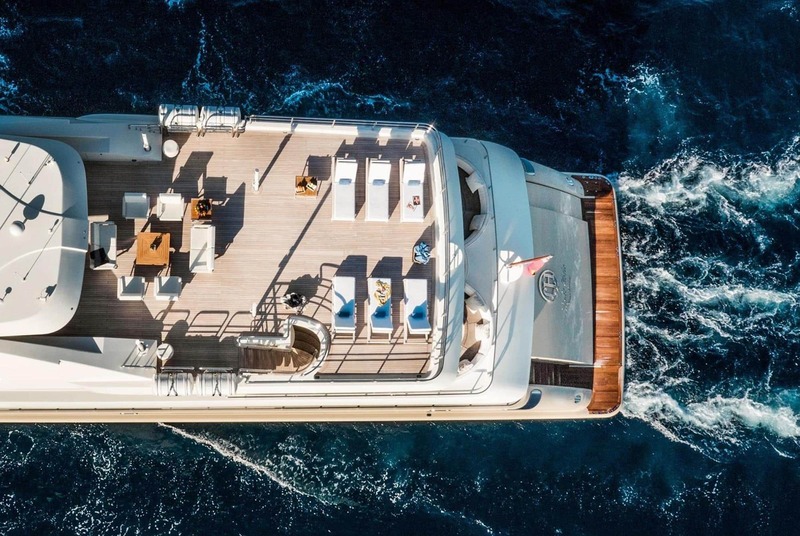 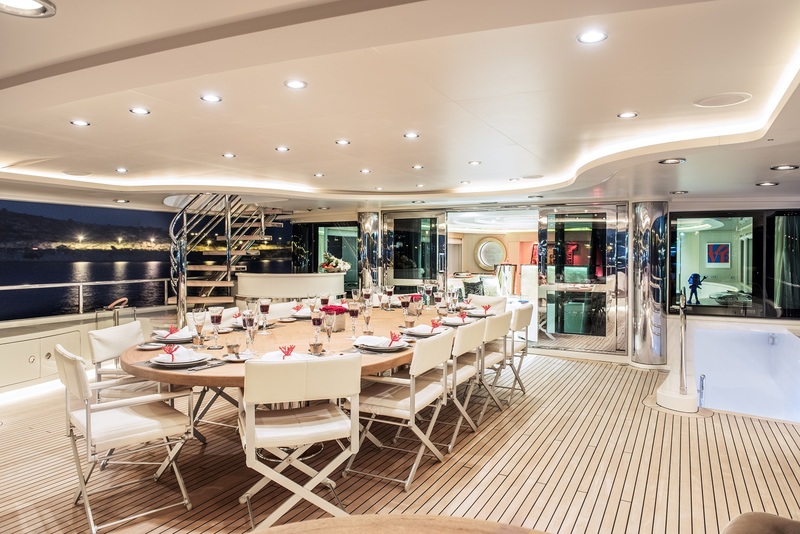 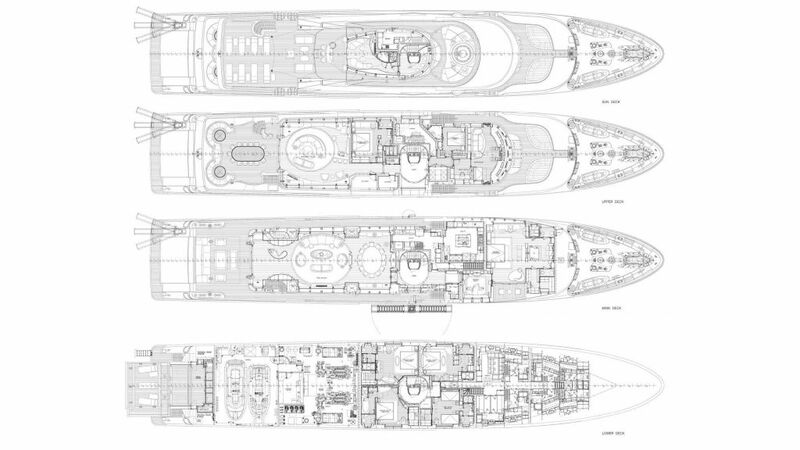 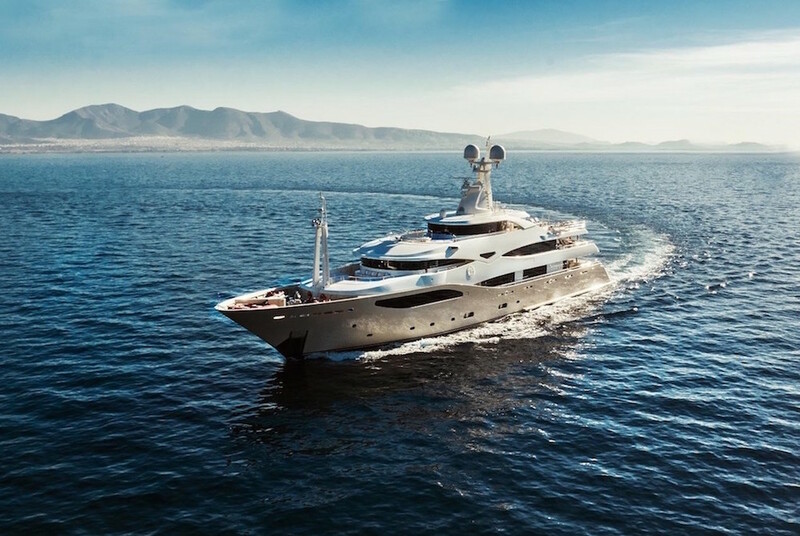 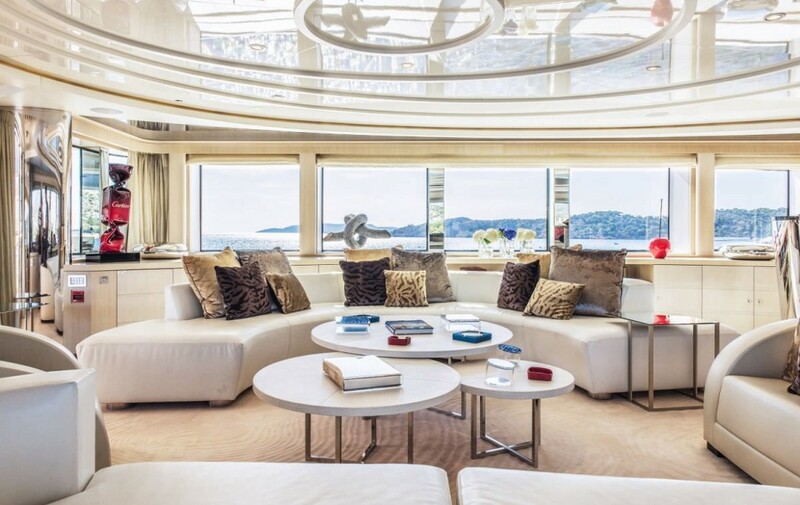 Built for comfort and entertainment megayacht LIGHT HOLIC has spacious and well laid out outdoor entertainment areas perfect for social gatherings, larger scale functions or smaller intimate get-togethers. 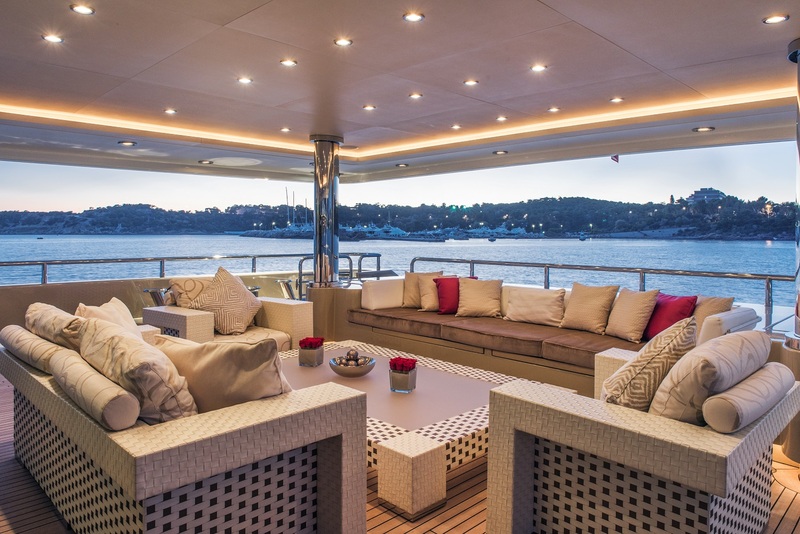 The impressive main and upper decks are well thought out and offer multiple dining and lounging areas for formal or relaxed occasions. 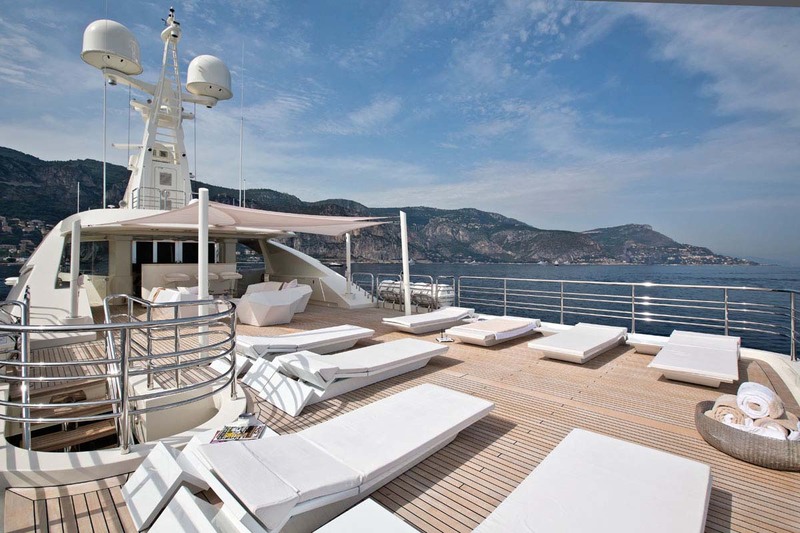 The entertainment theme continues up to her sundeck where a large Spa Pool, further lounging areas and a bar can be found. 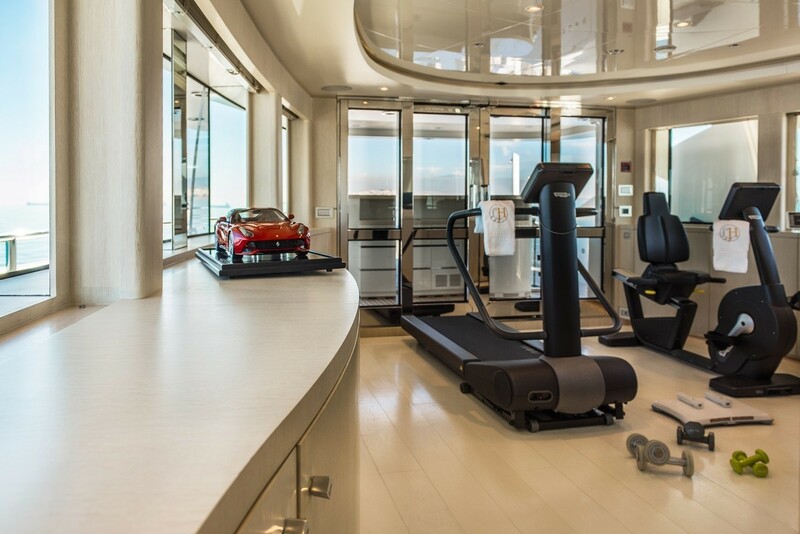 Each deck can be reached at the push of a button, courtesy of a glass elevator. 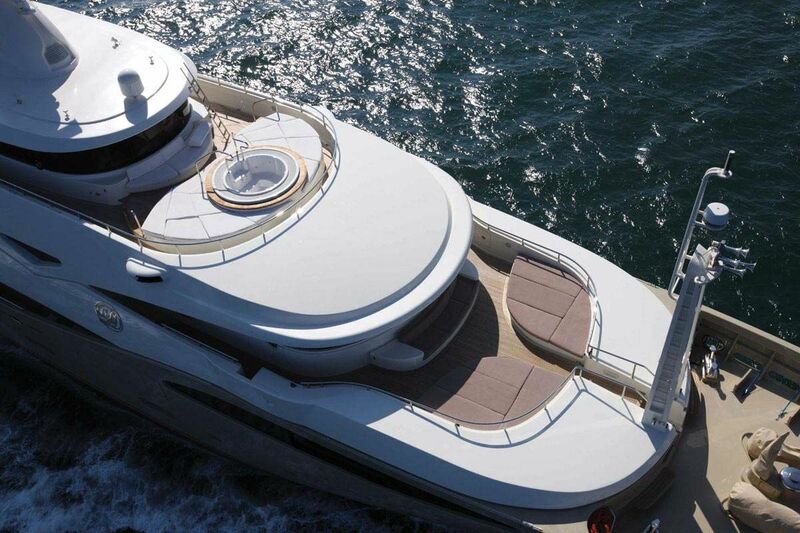 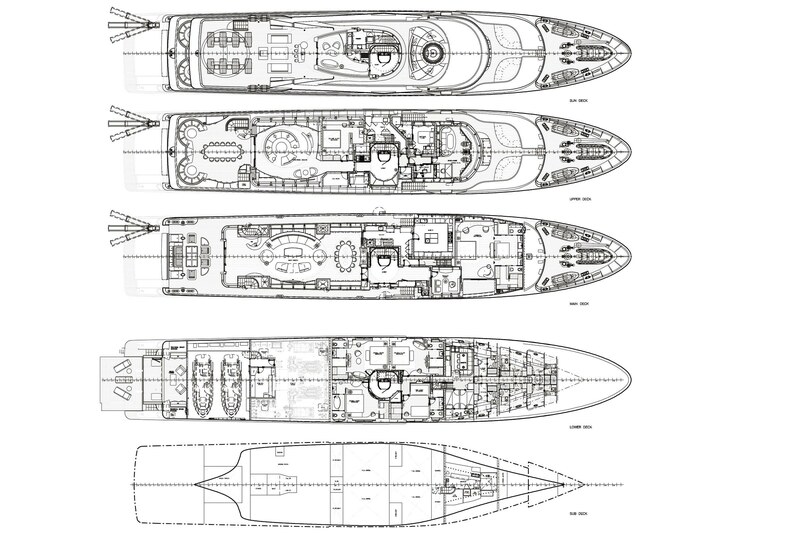 Powered by two 1,500hp CAT diesel engines, she can reach a top speed of 15 knots and a cruising speed of 14 knots. 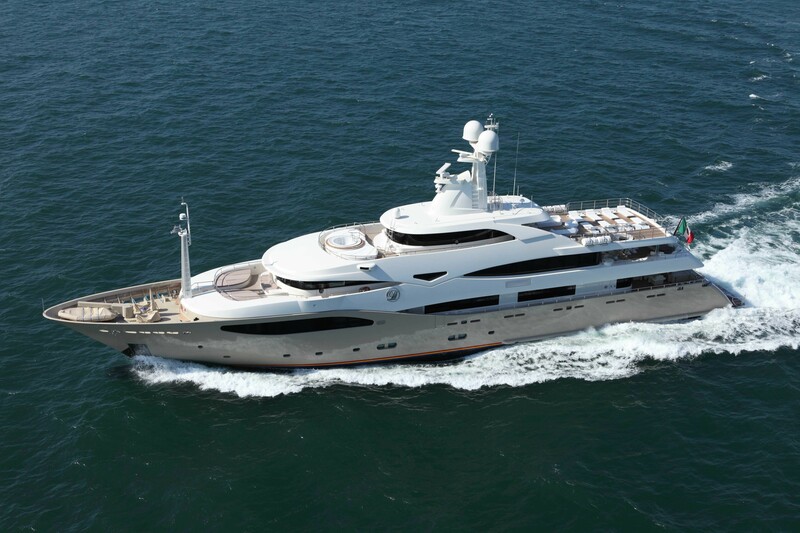 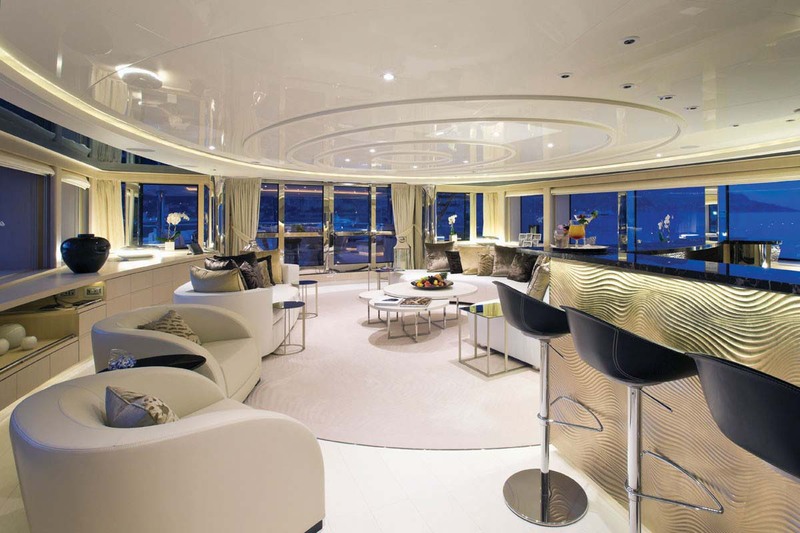 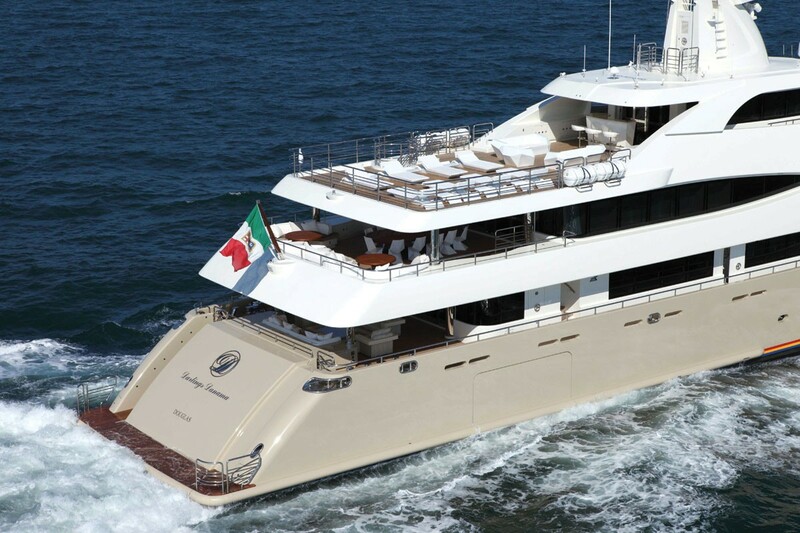 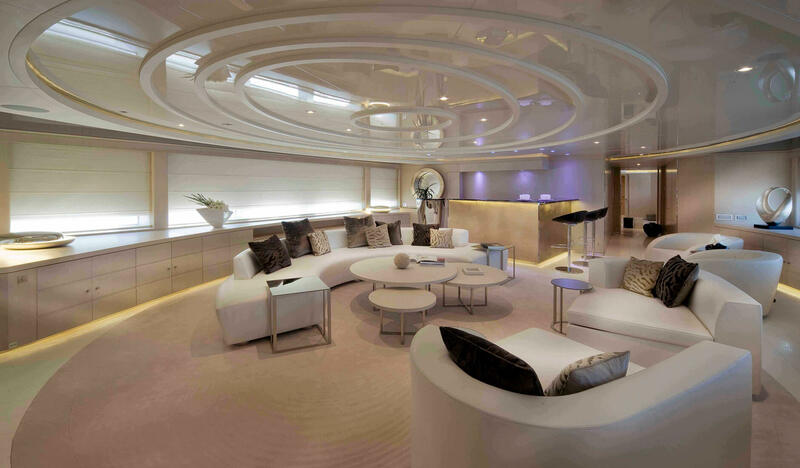 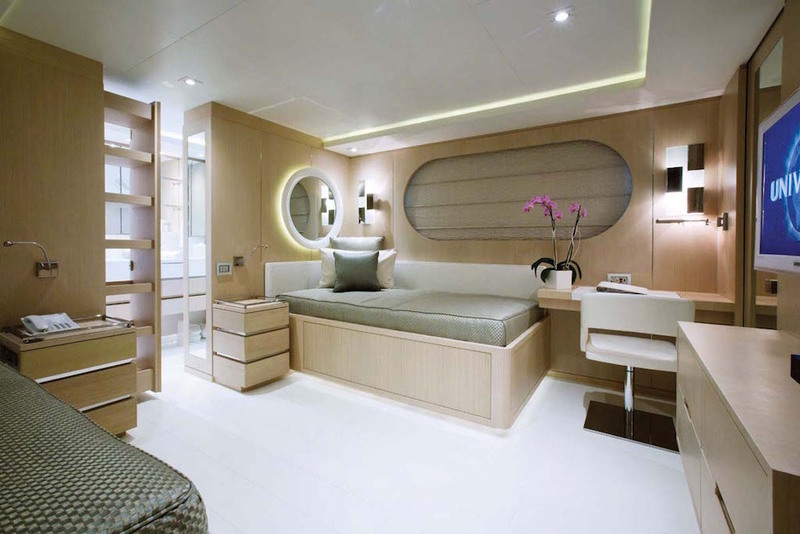 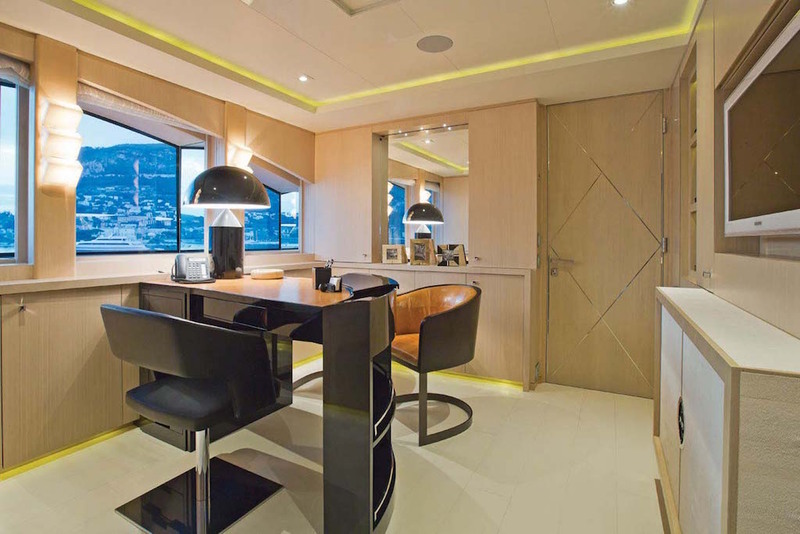 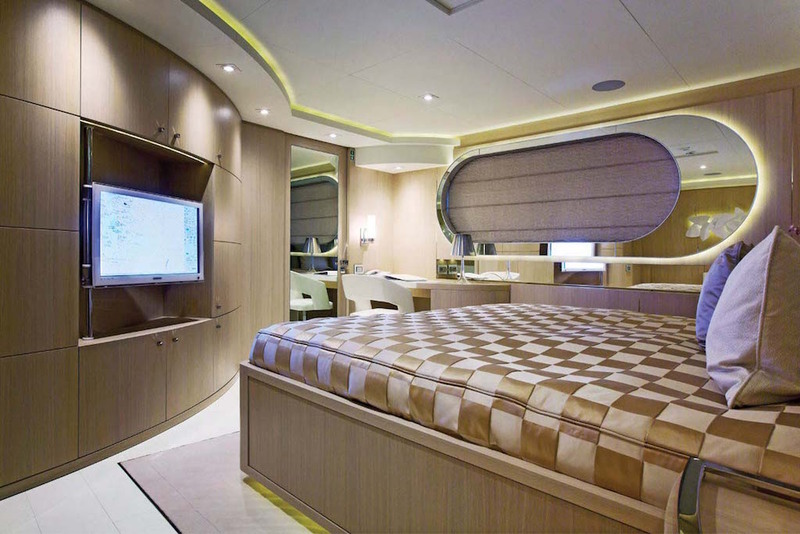 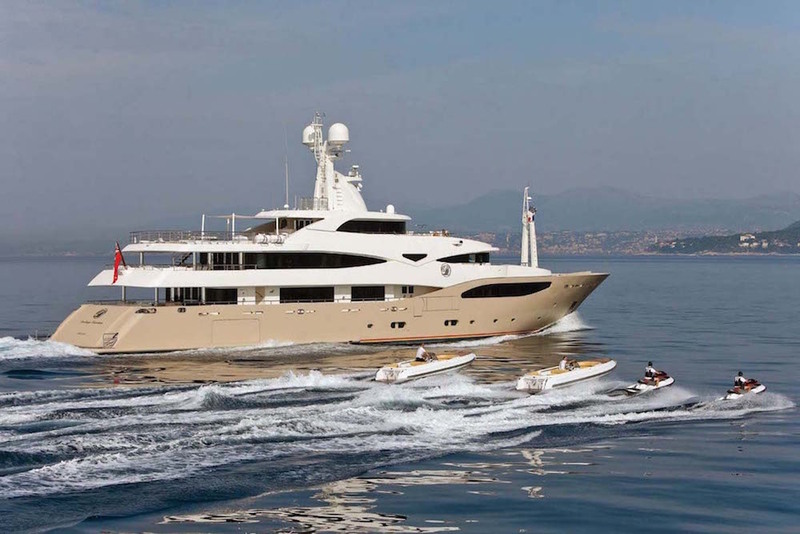 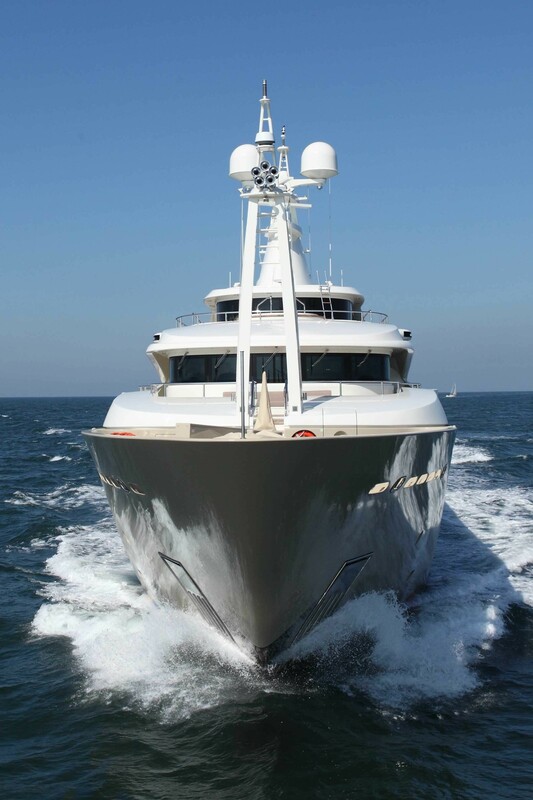 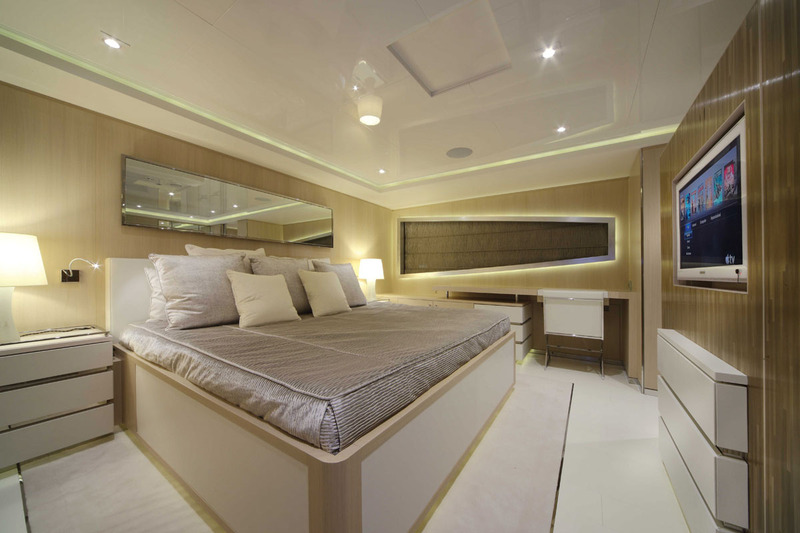 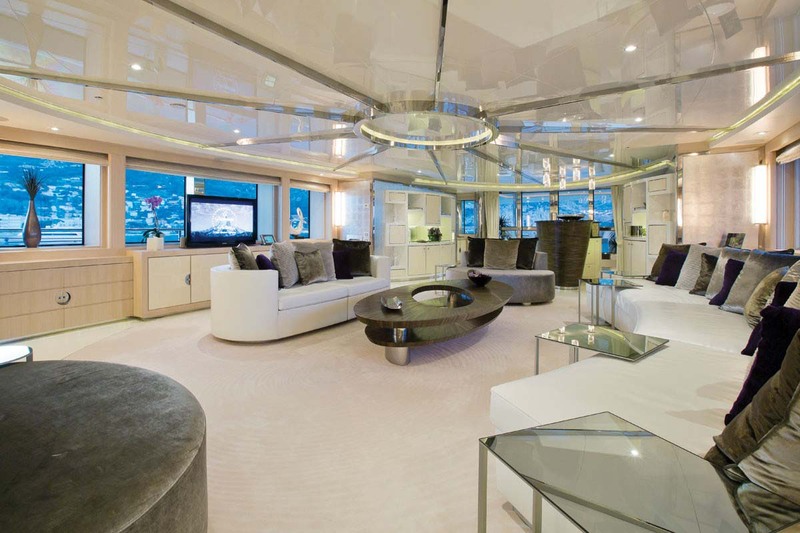 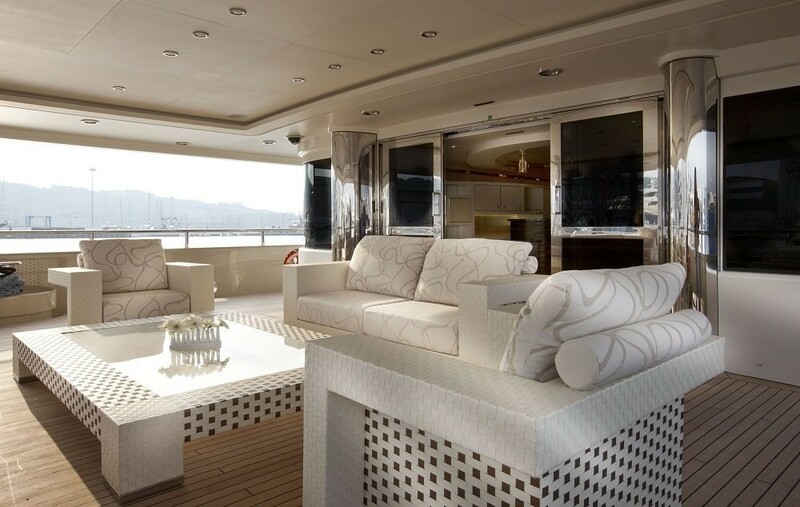 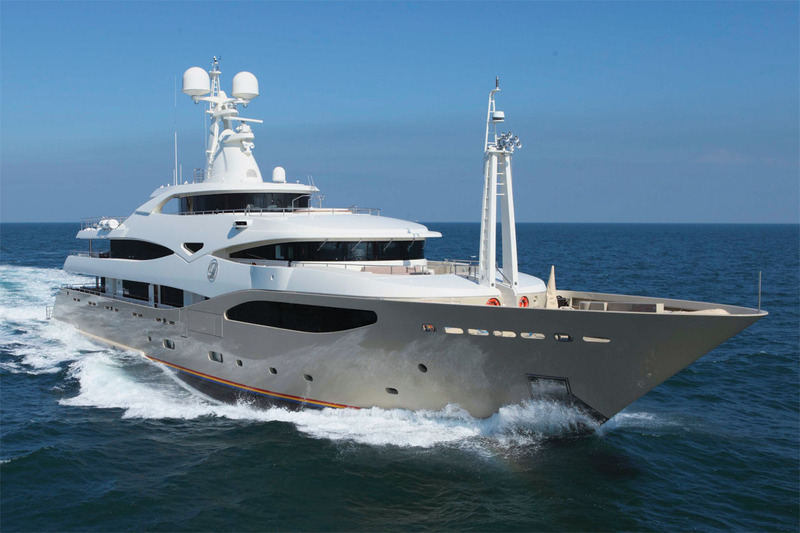 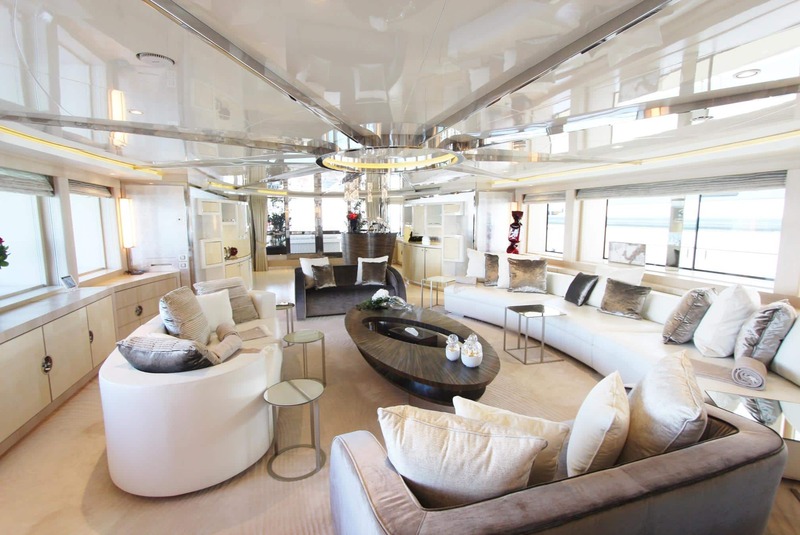 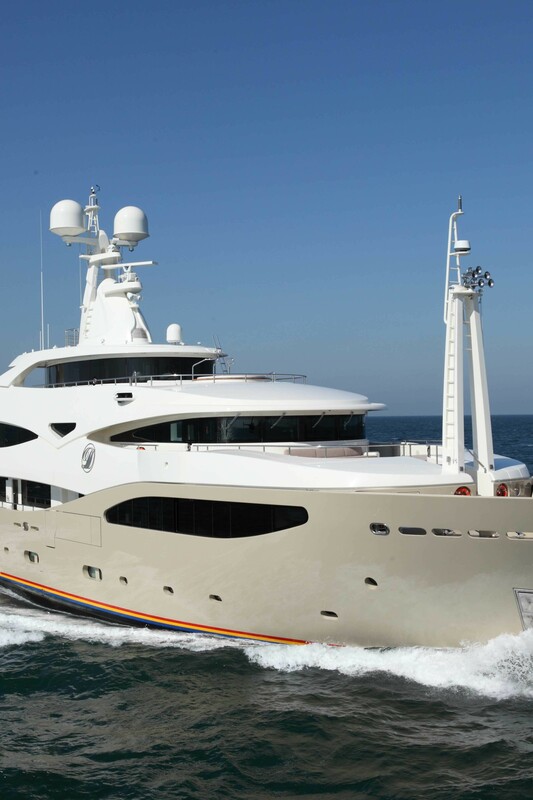 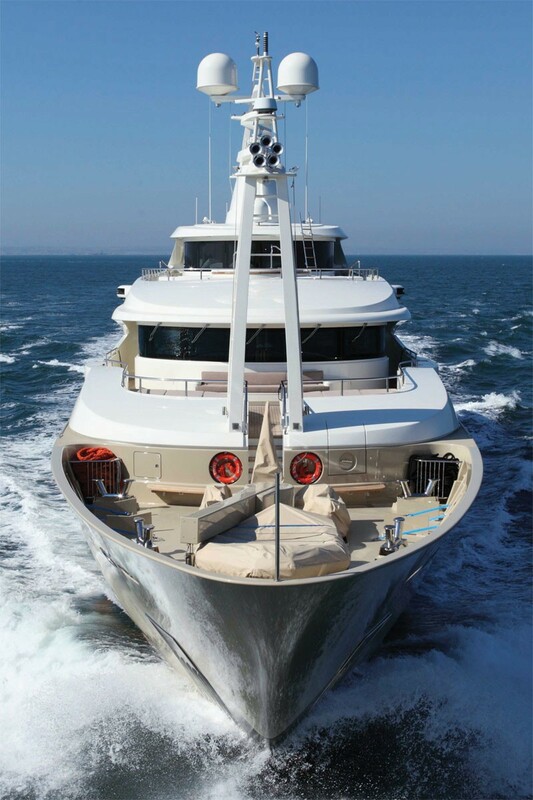 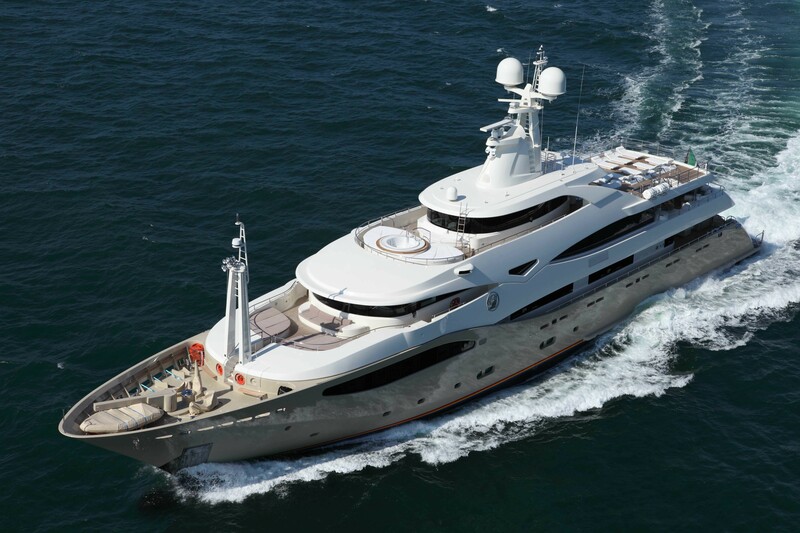 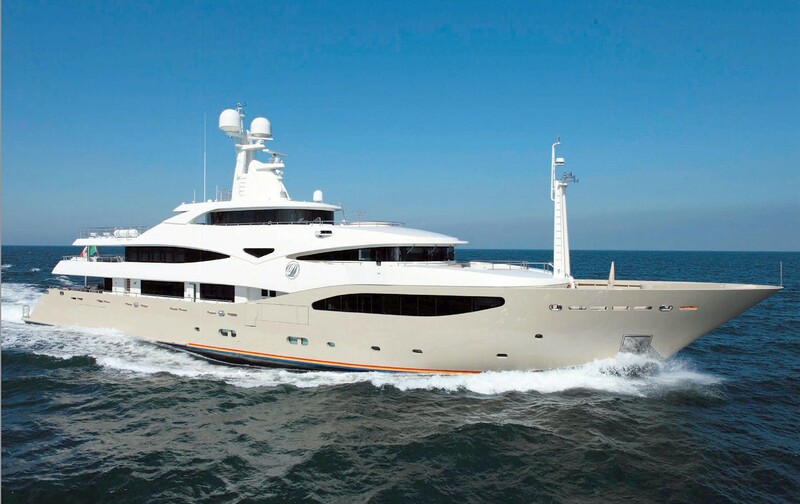 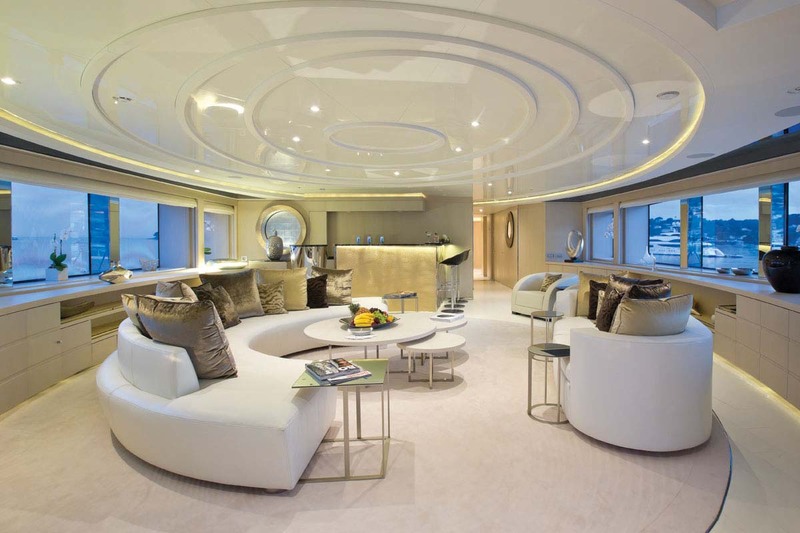 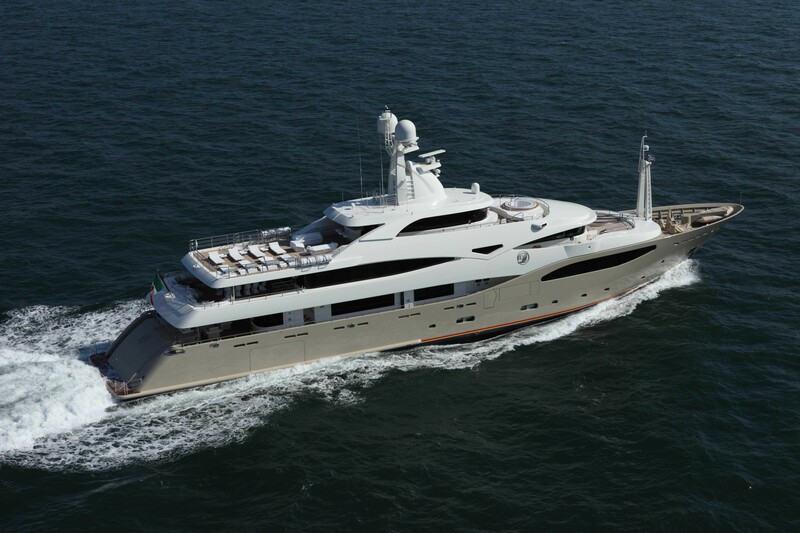 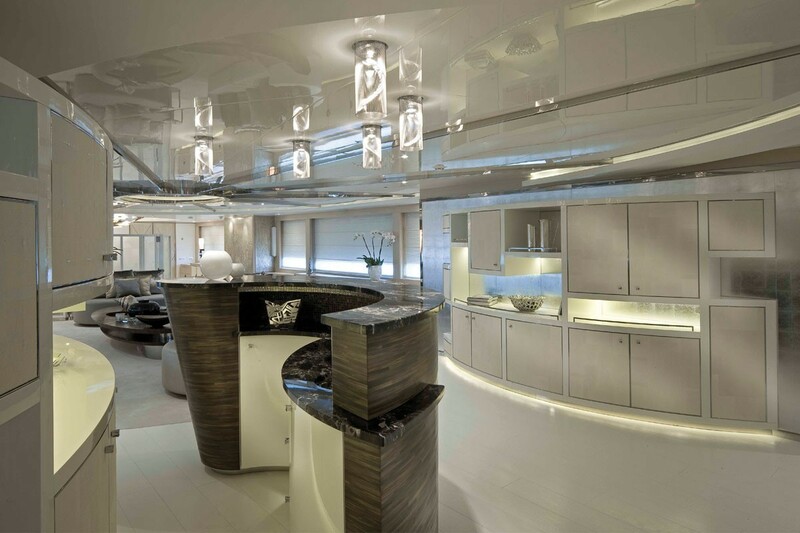 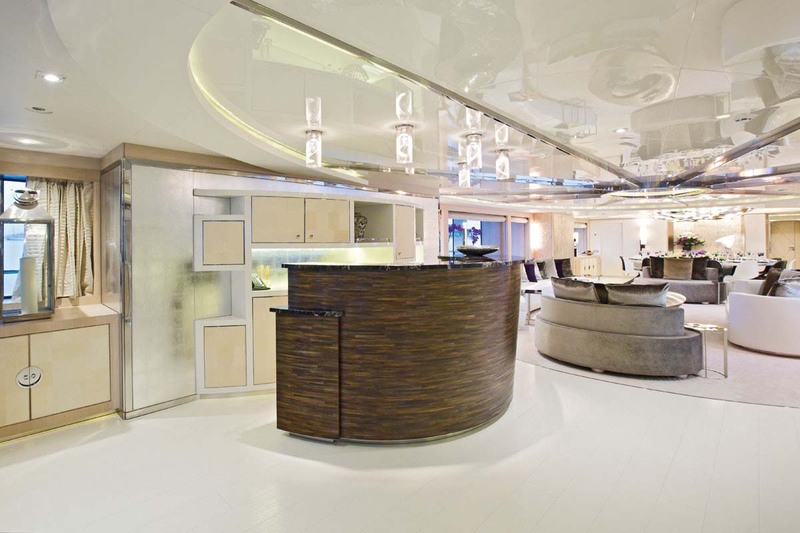 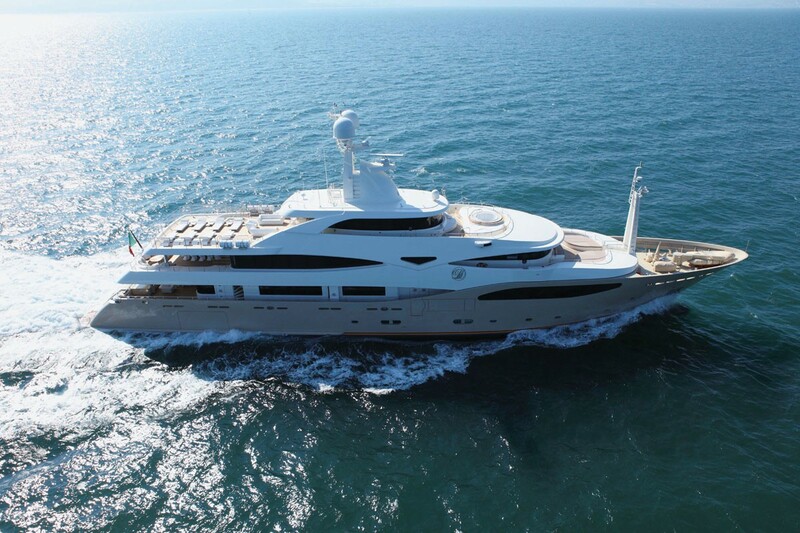 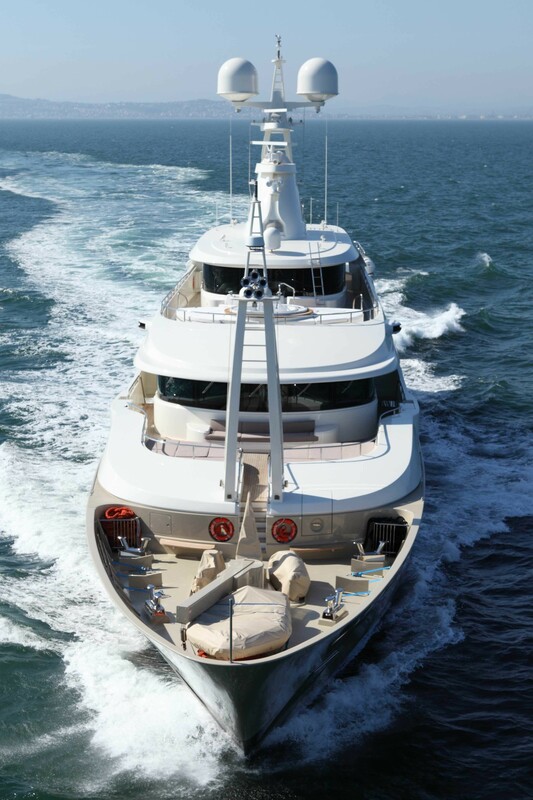 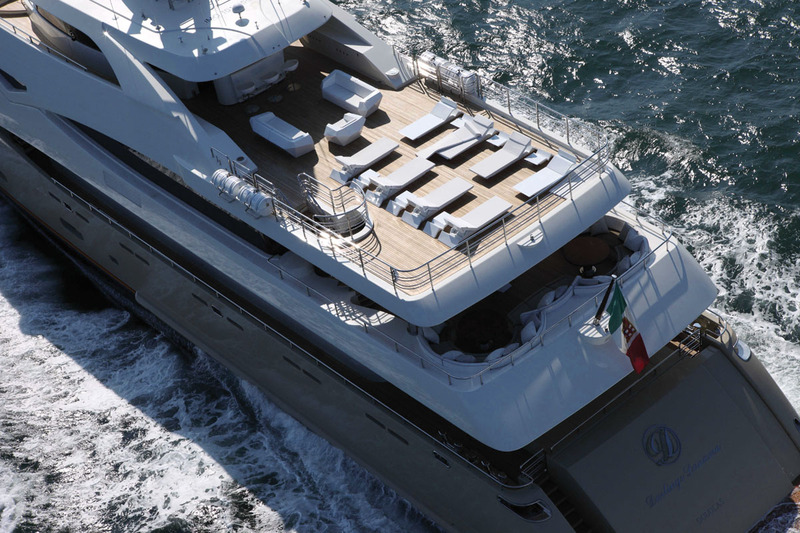 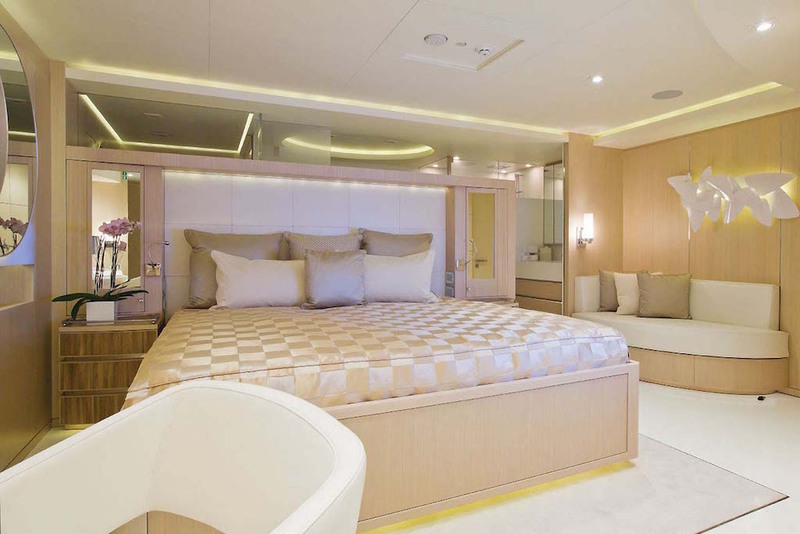 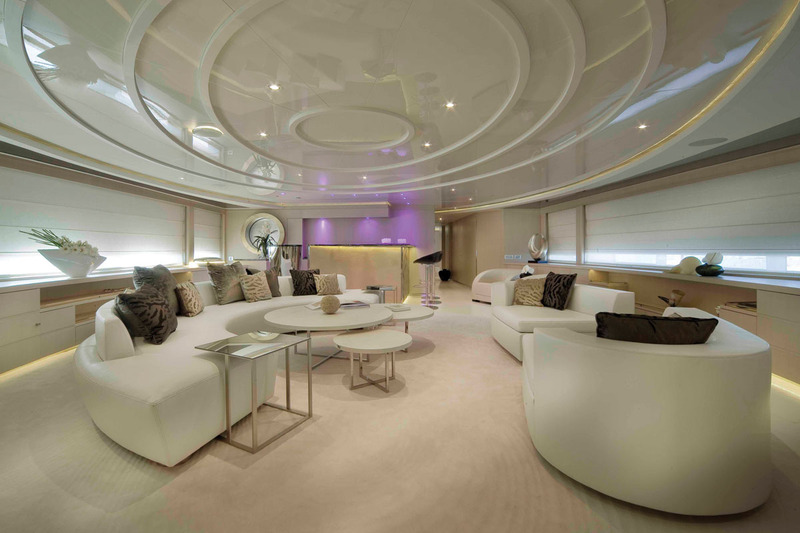 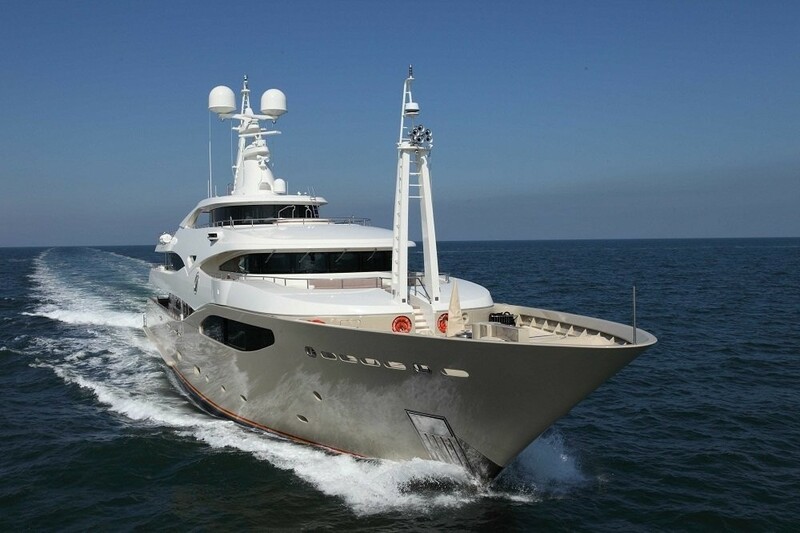 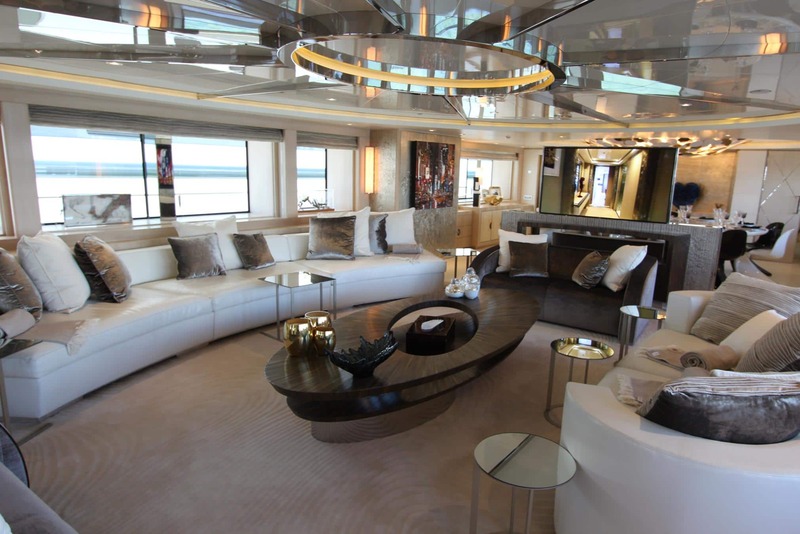 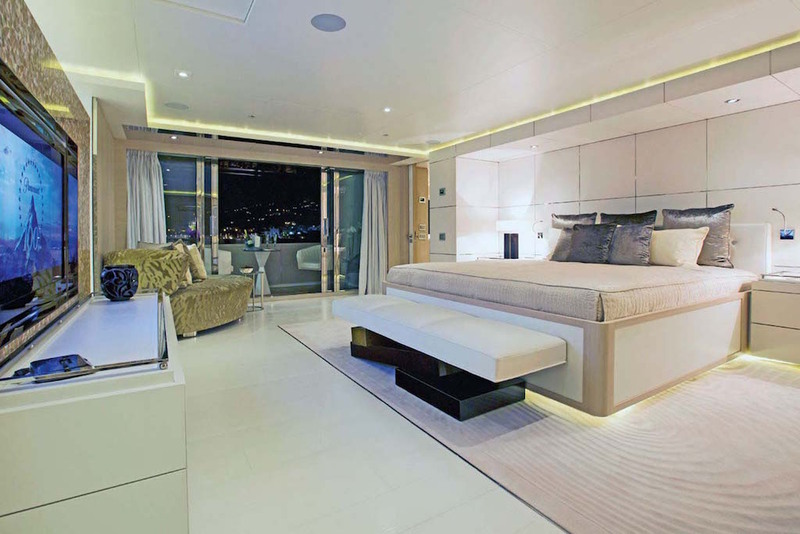 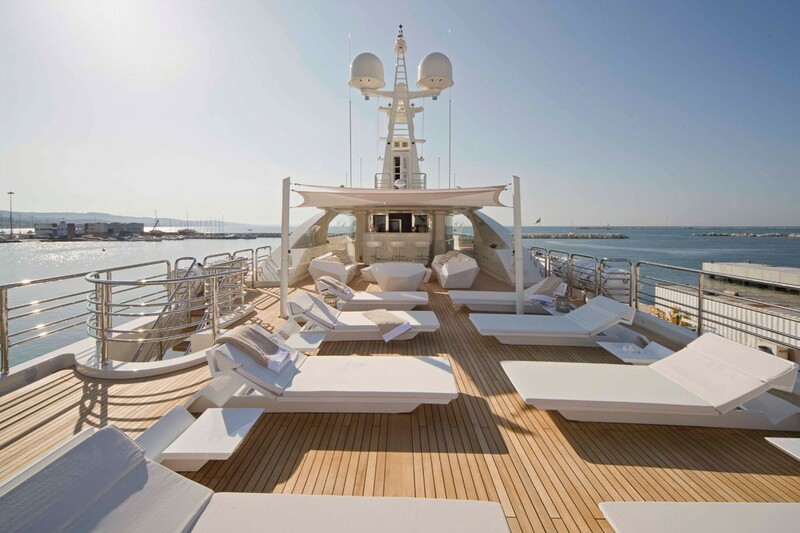 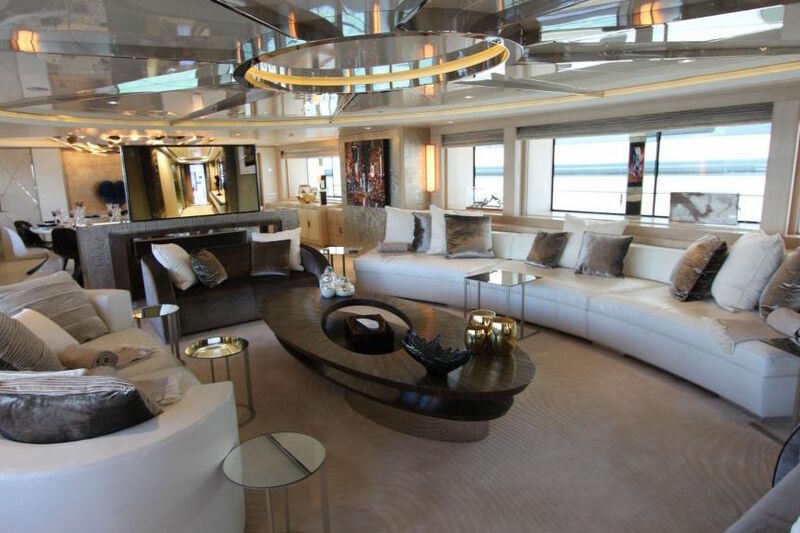 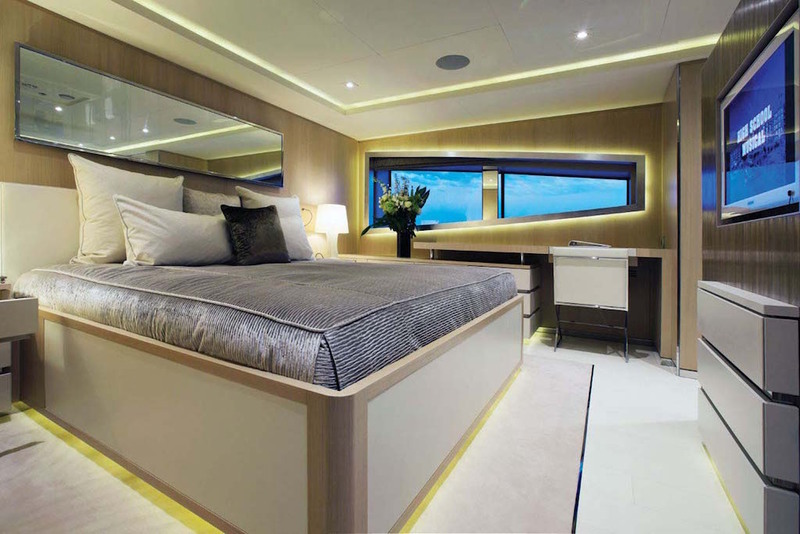 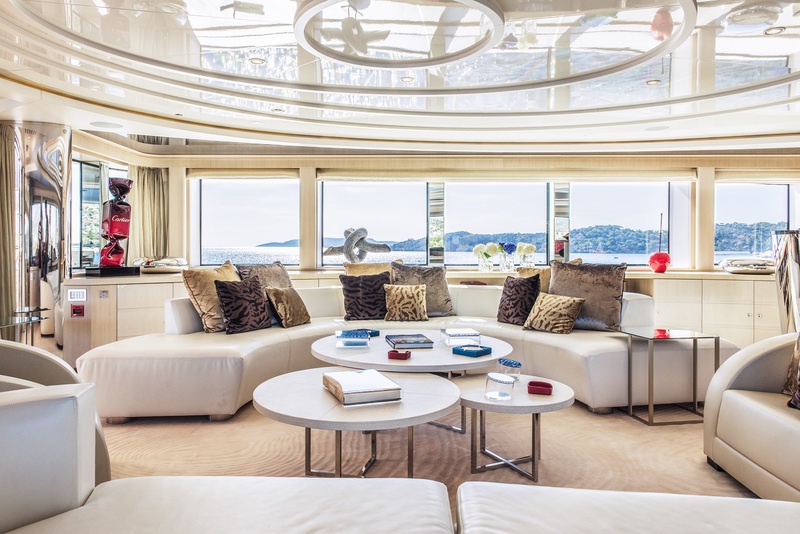 Motor yacht LIGHT HOLIC can accommodate up to 12 guests in six cabins spread over her numerous decks. 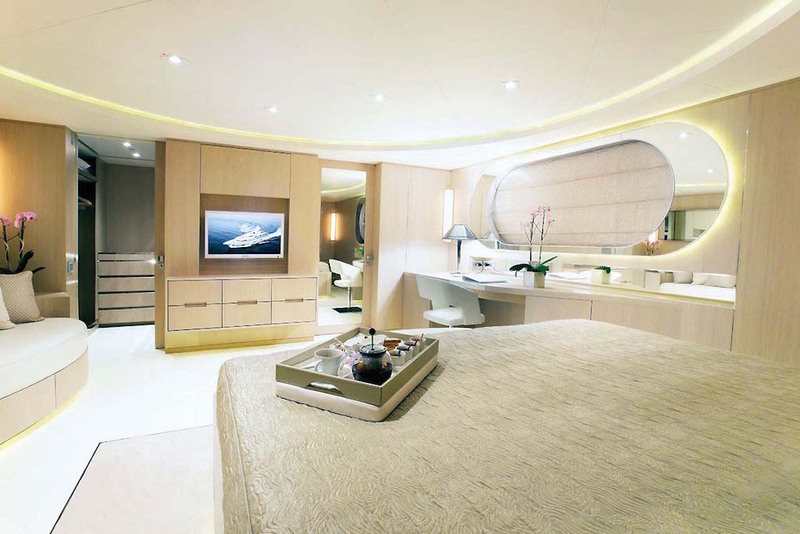 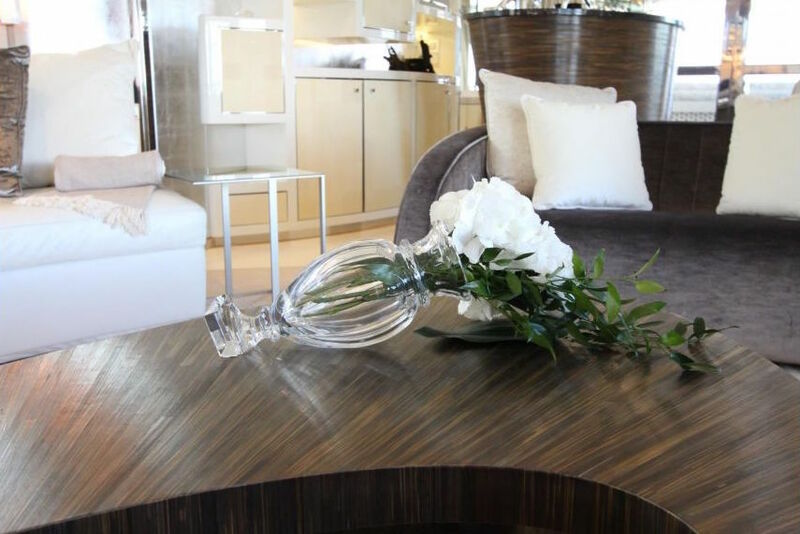 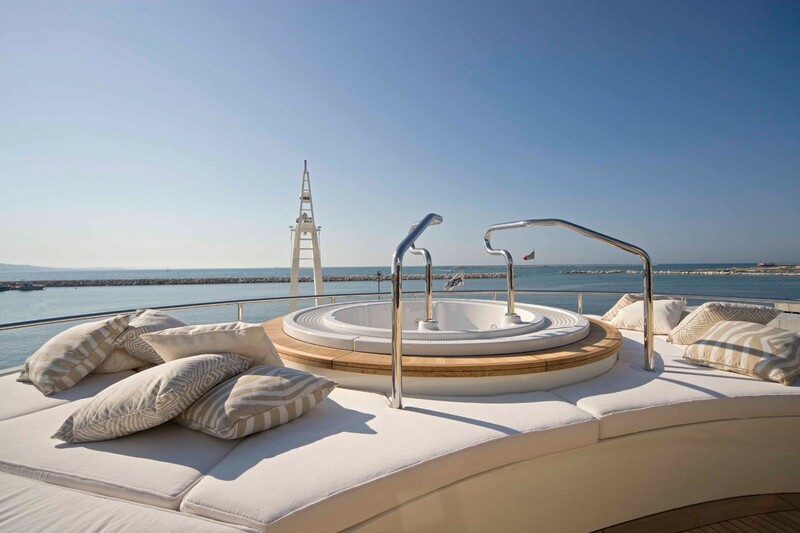 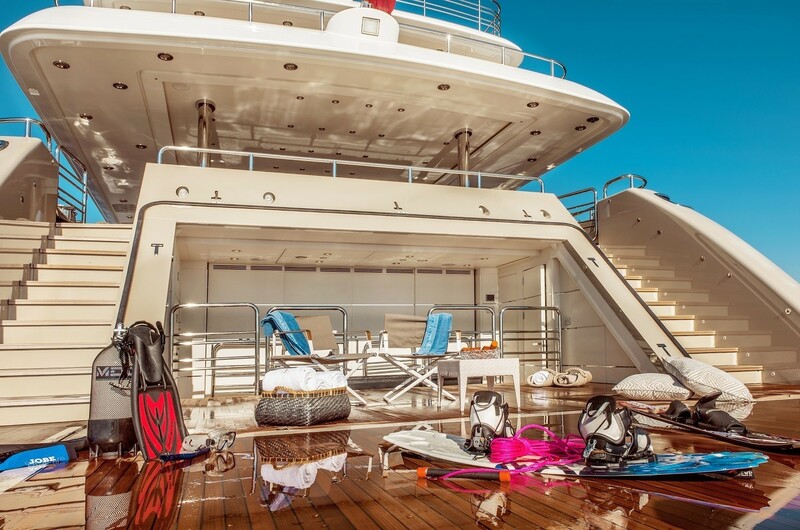 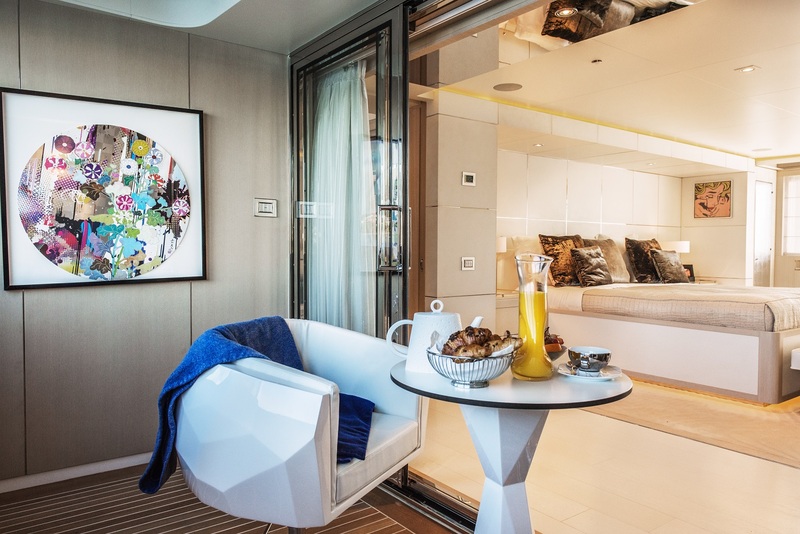 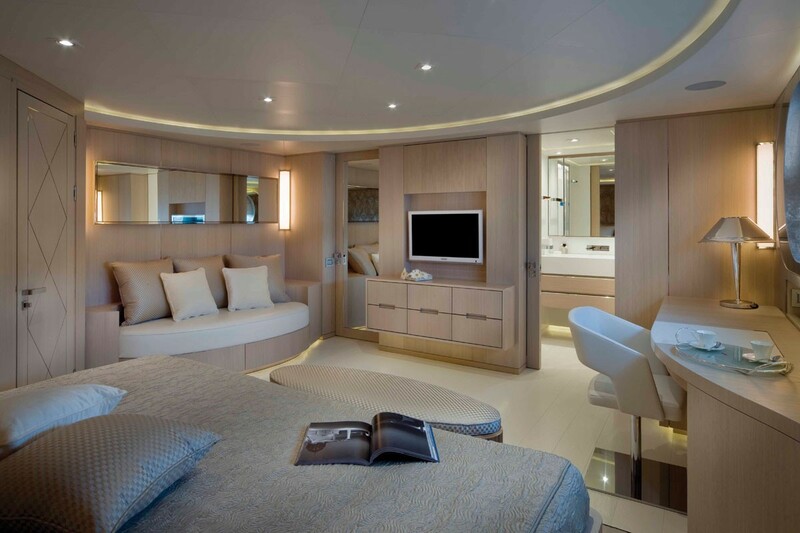 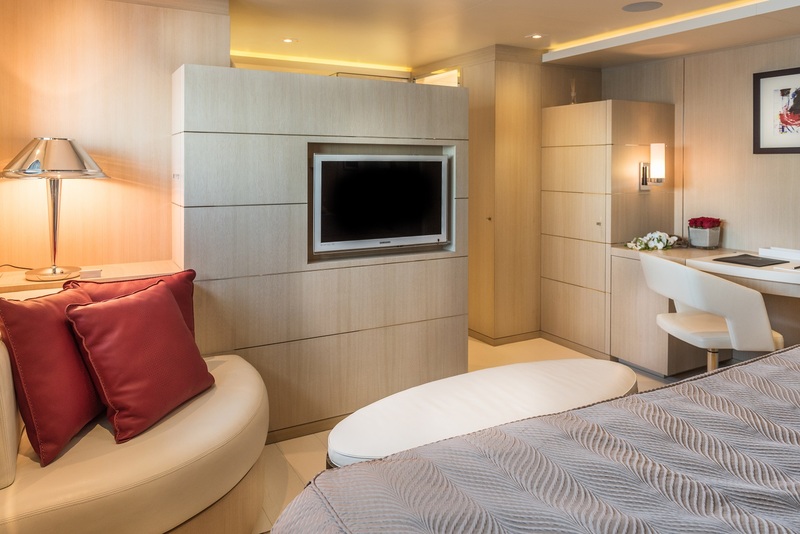 The beautifully appointed full-width owner’s suite which is located on the main deck enjoys a private balcony. 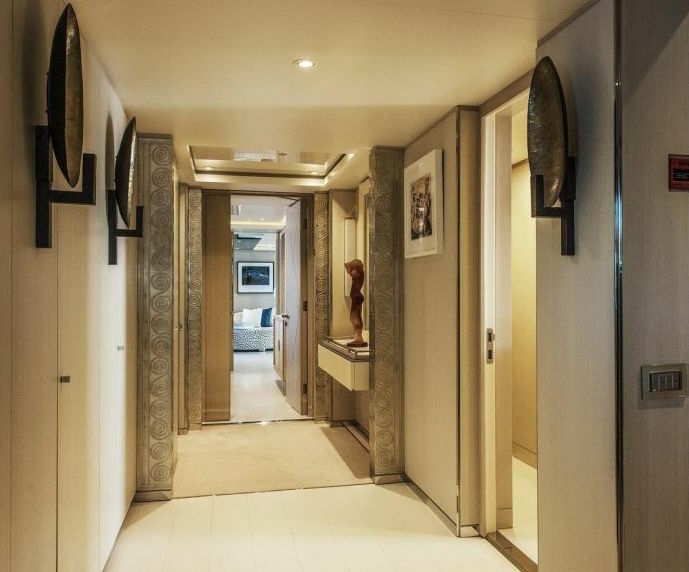 There is a 'presidential suite' on the upper deck and three doubles and a twin on the lower deck. 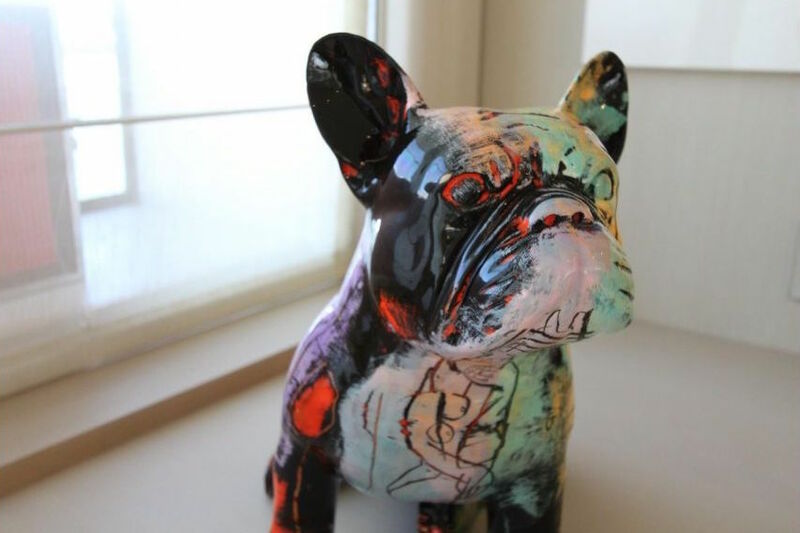 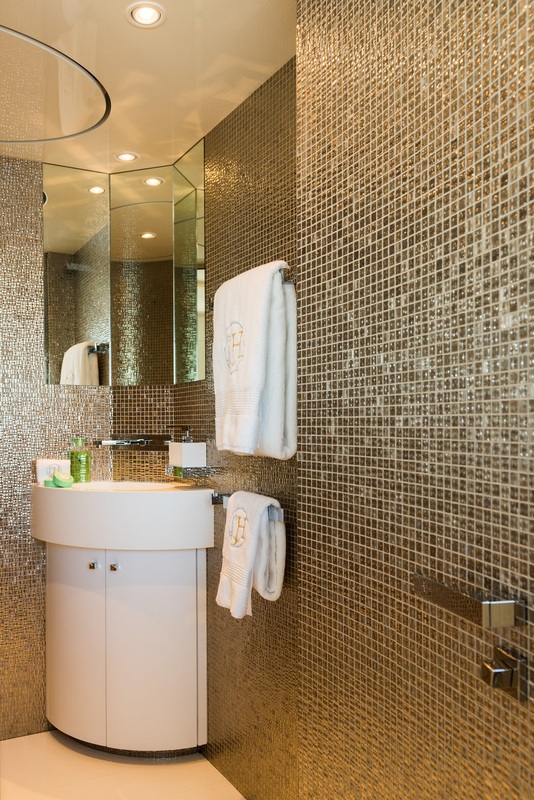 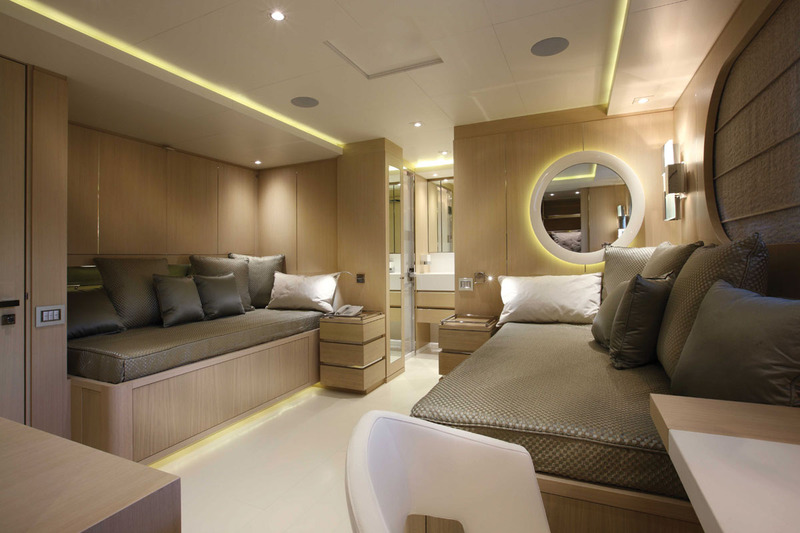 Fantastically equipped and beautifully decorated, each cabin is seriously luxurious and secluded. 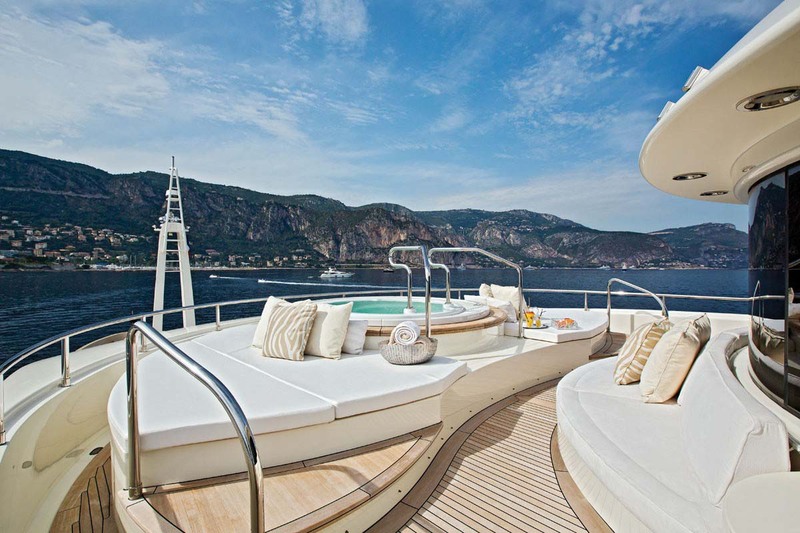 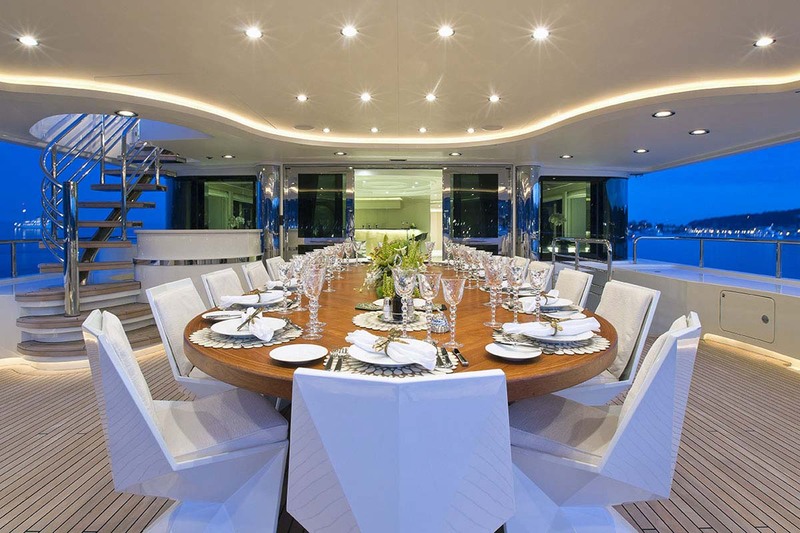 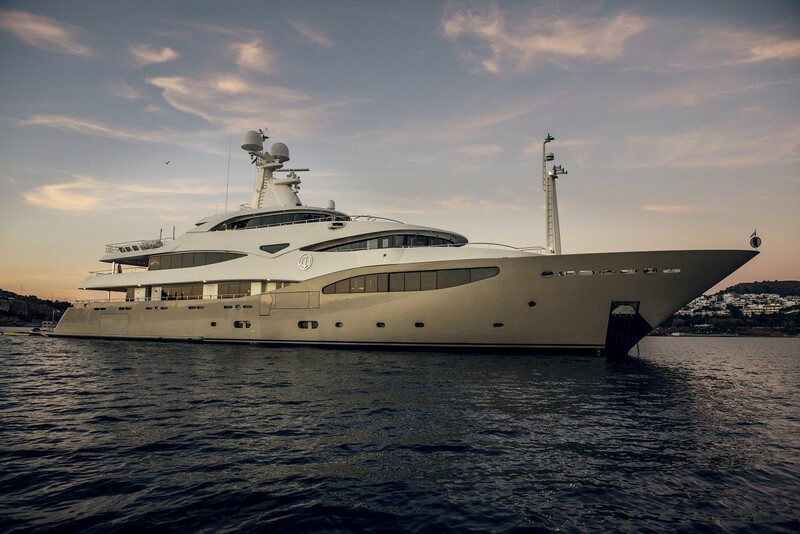 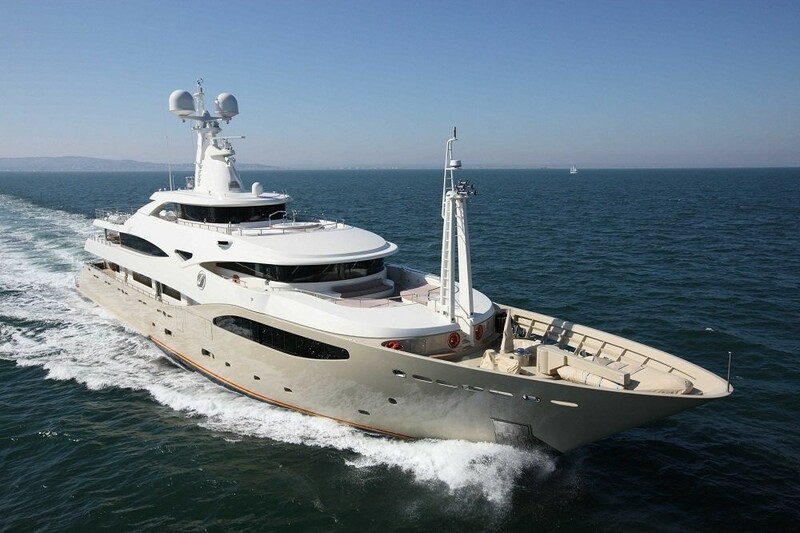 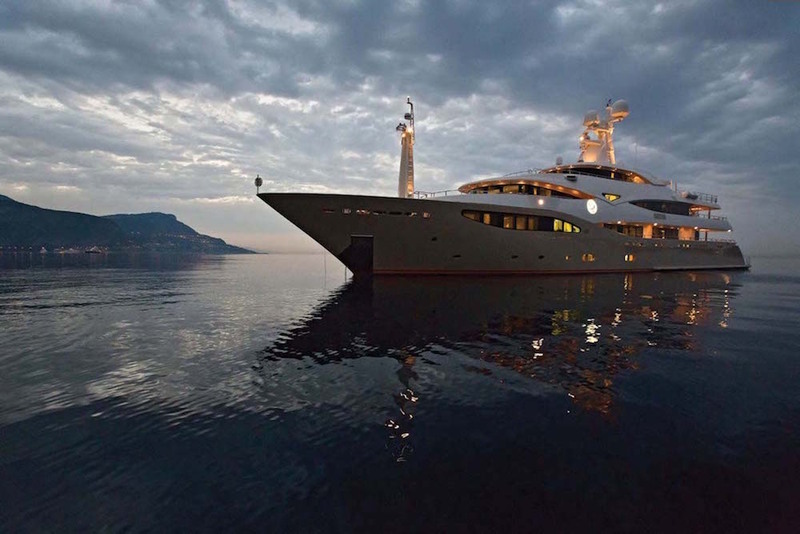 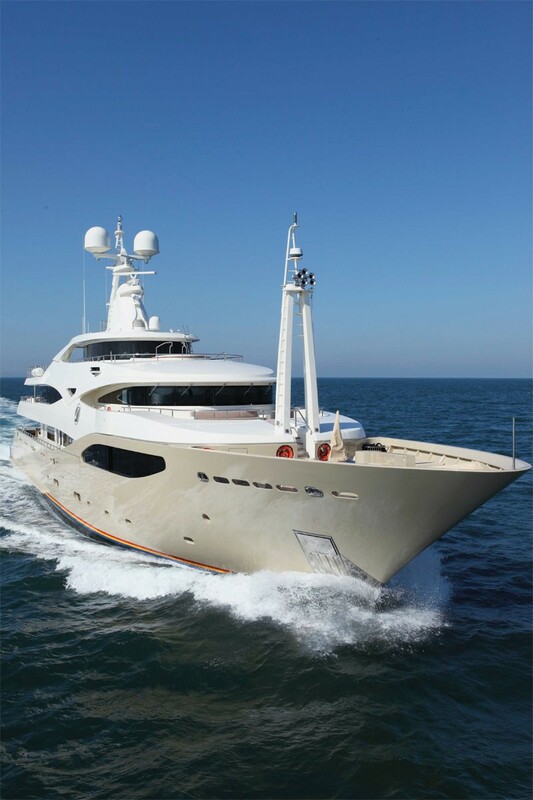 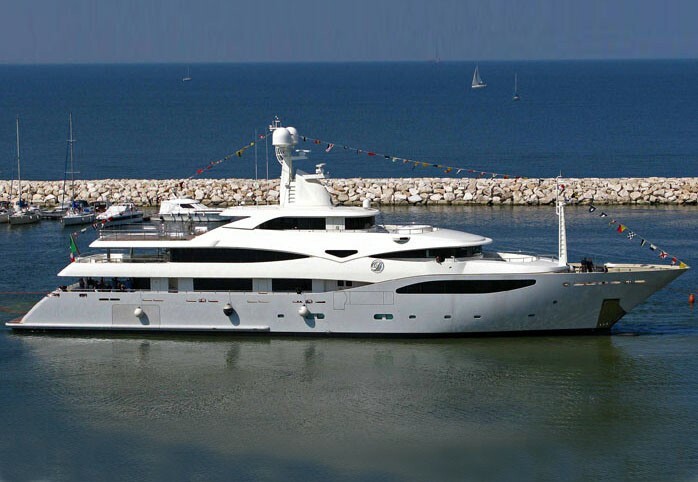 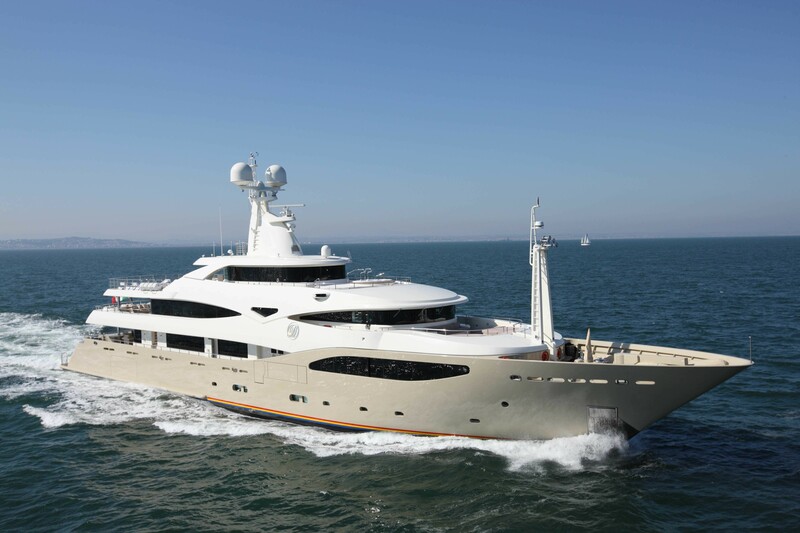 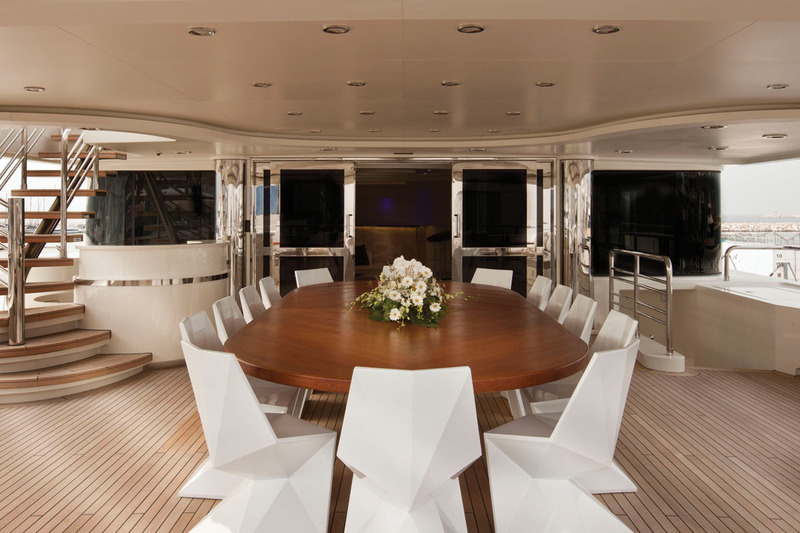 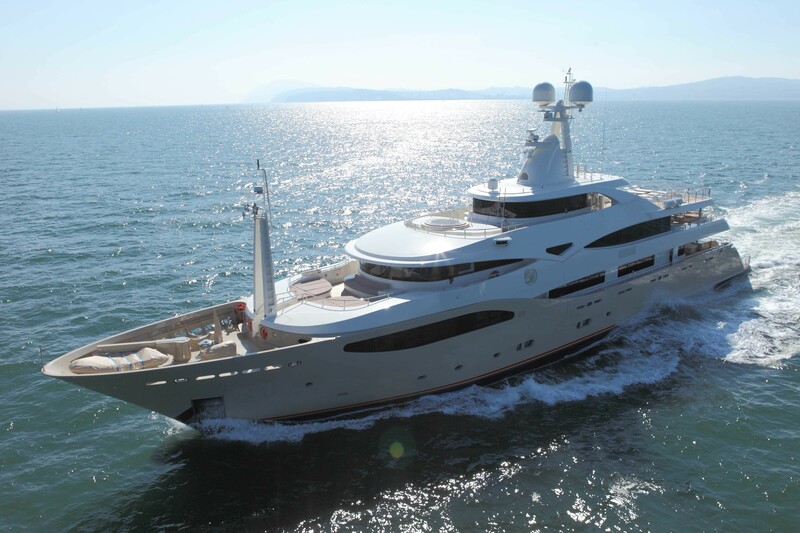 The yacht is managed by a crew of 15 professionals.